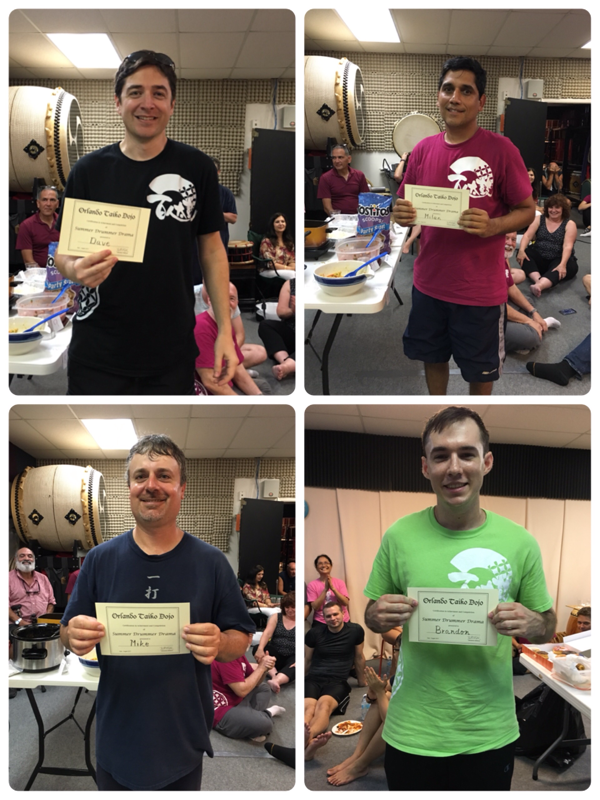 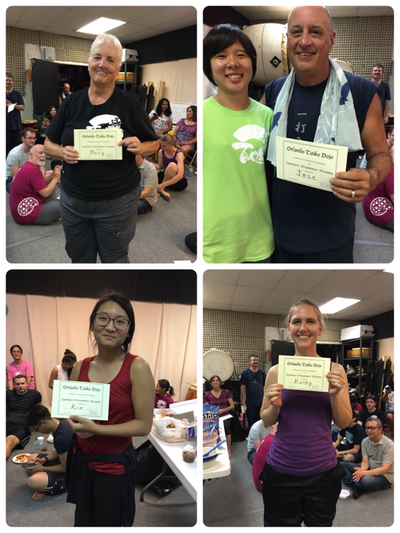 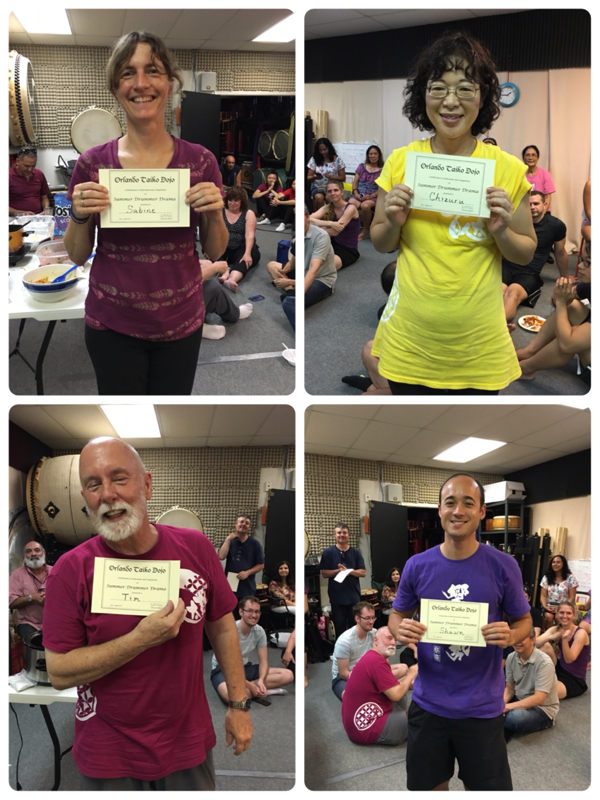 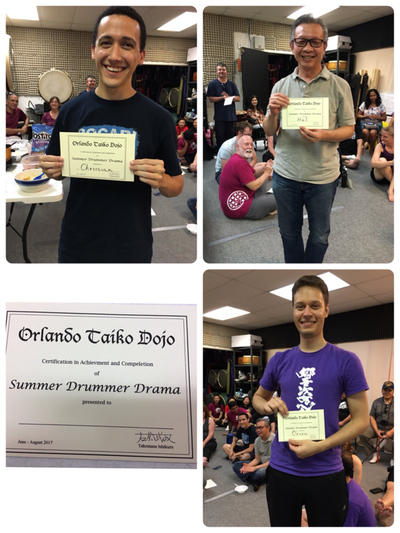 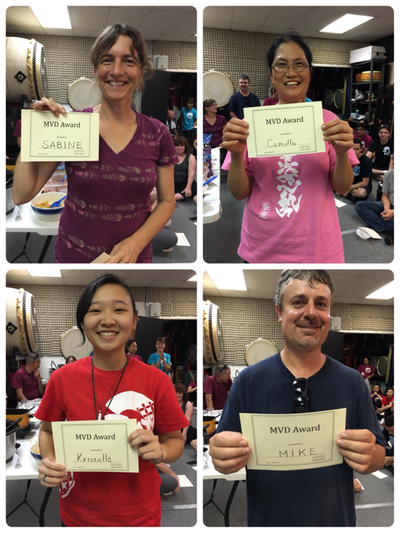 This year's Summer Drummer Drama was 10 weeks in length from June 11th - August 13th. 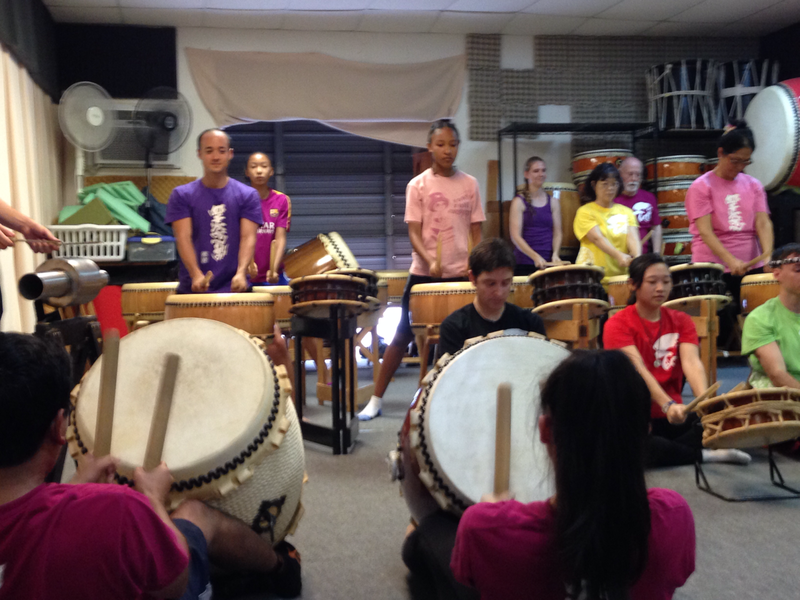 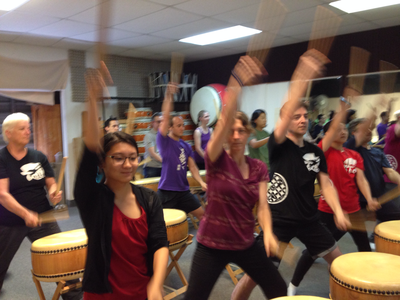 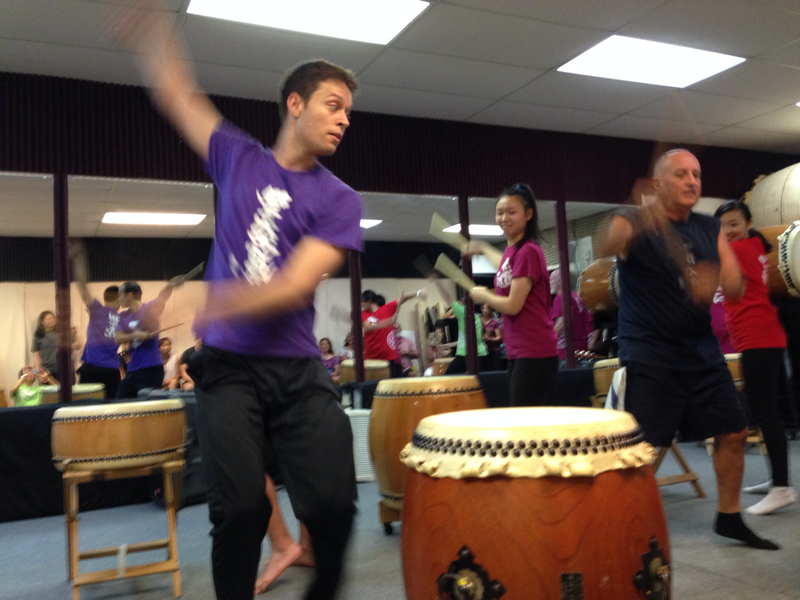 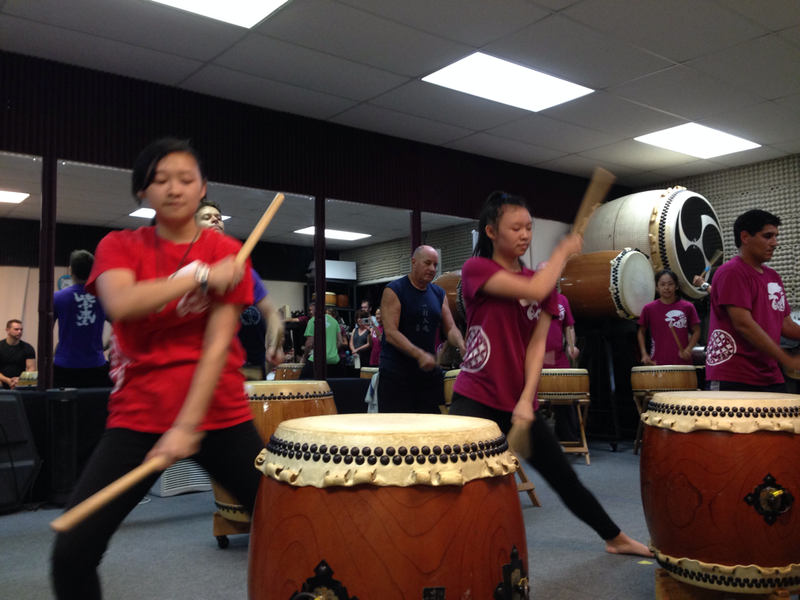 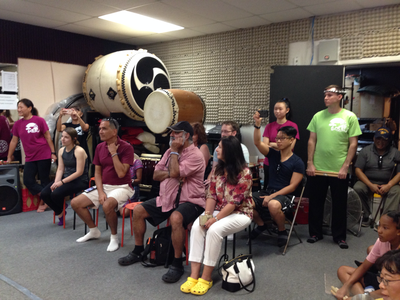 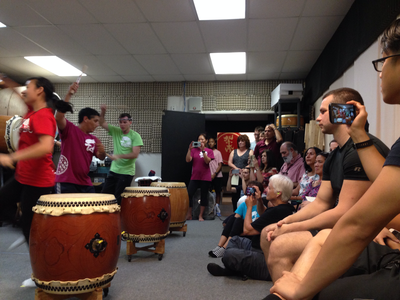 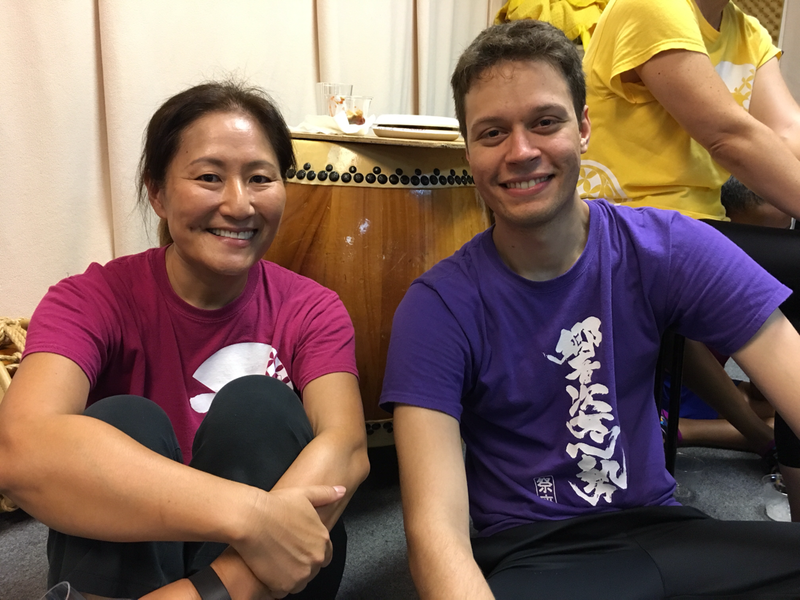 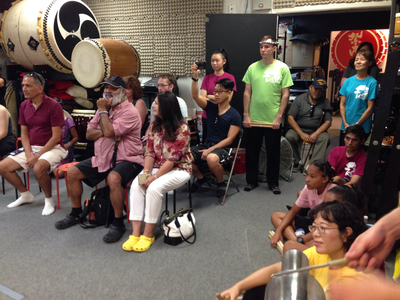 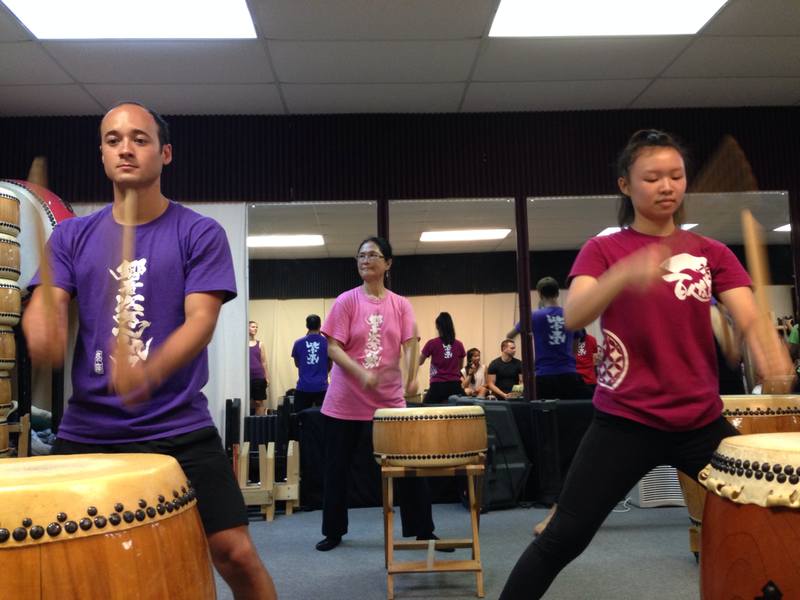 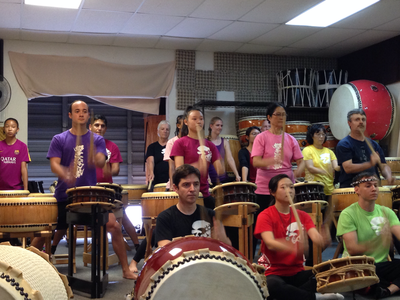 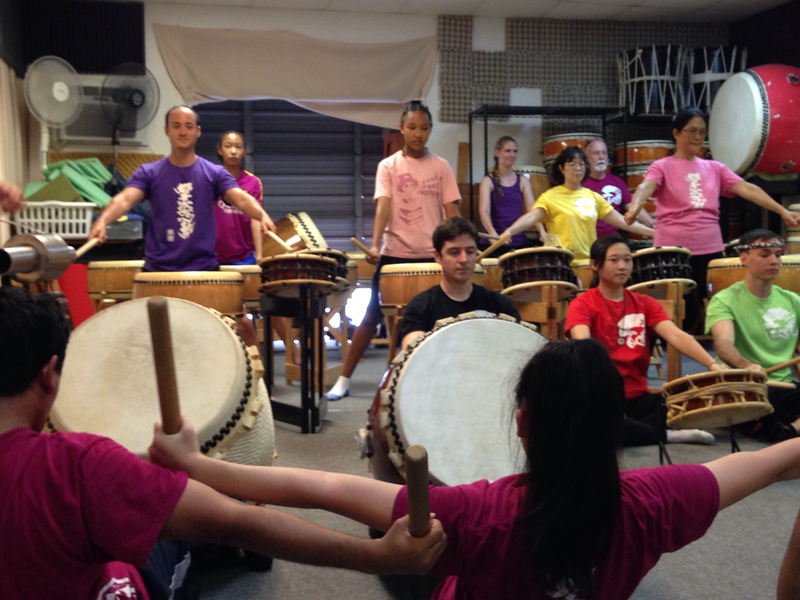 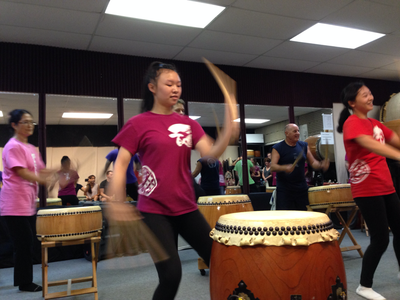 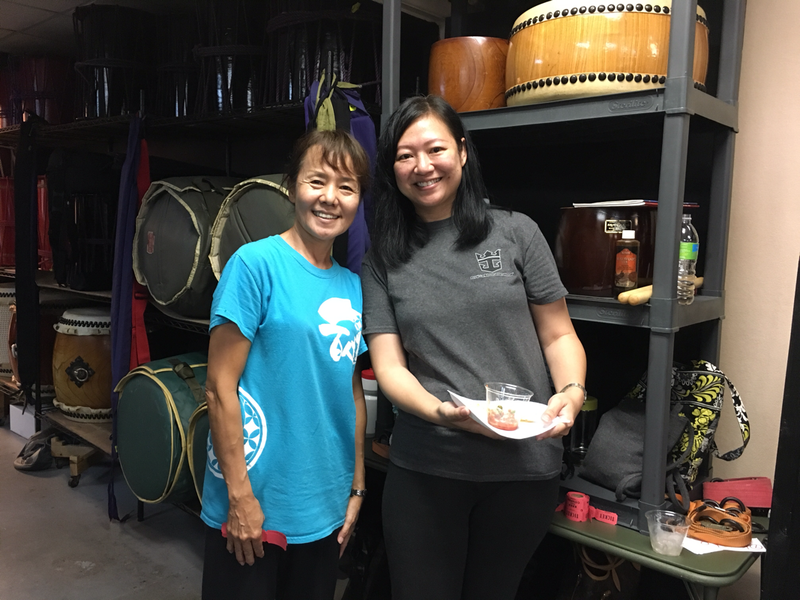 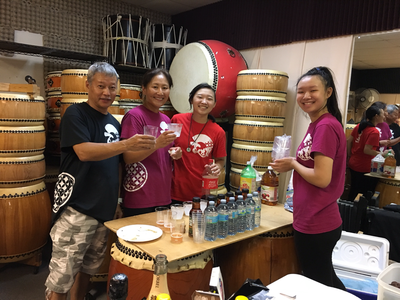 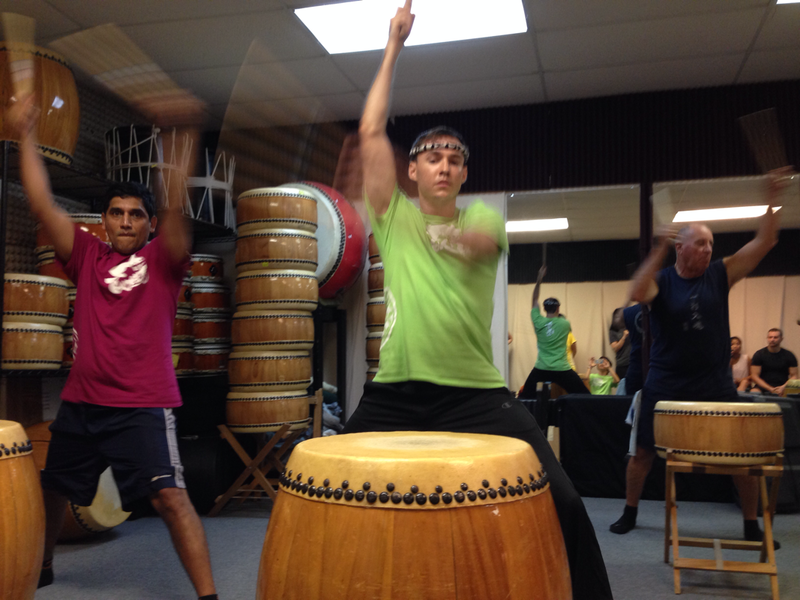 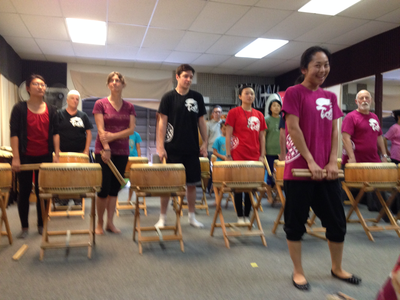 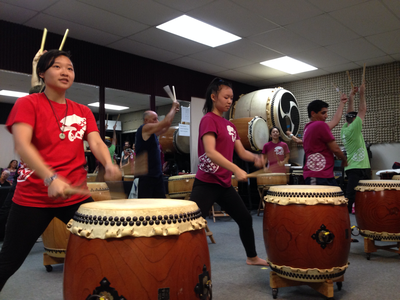 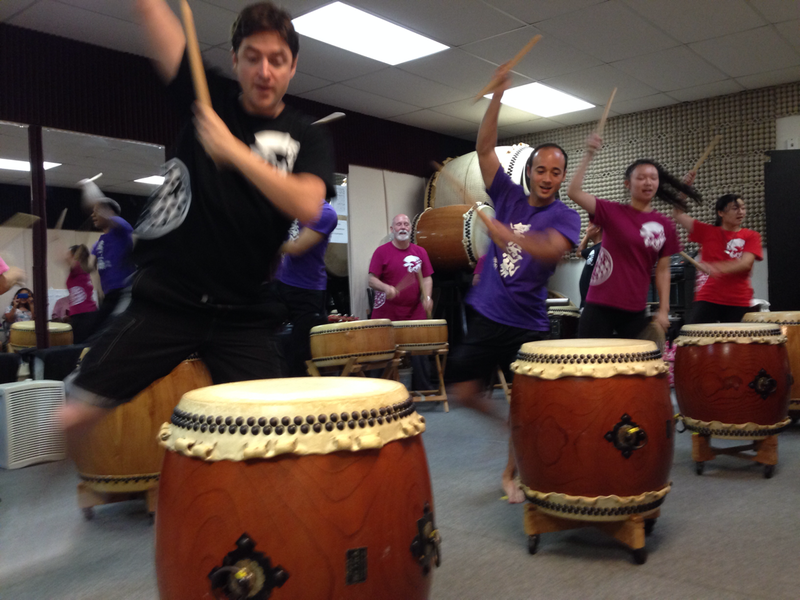 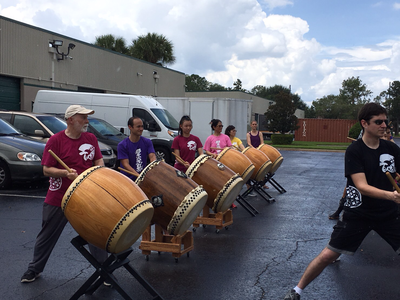 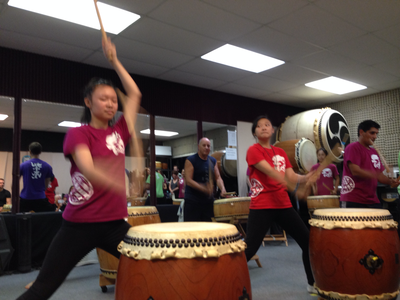 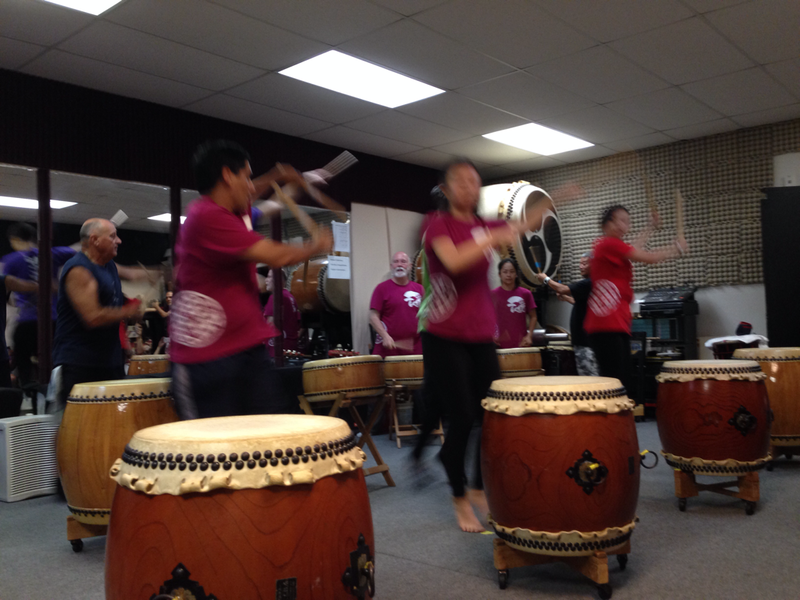 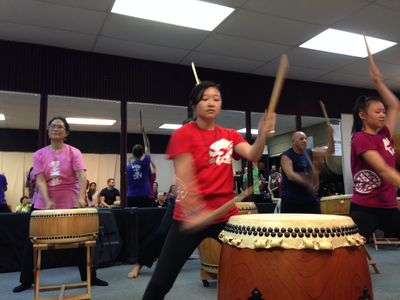 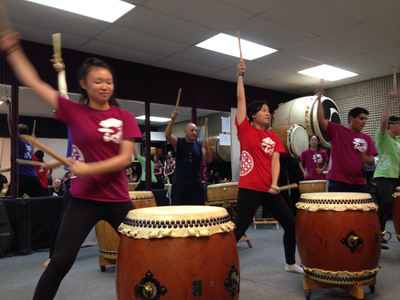 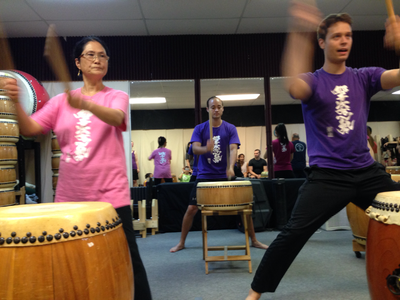 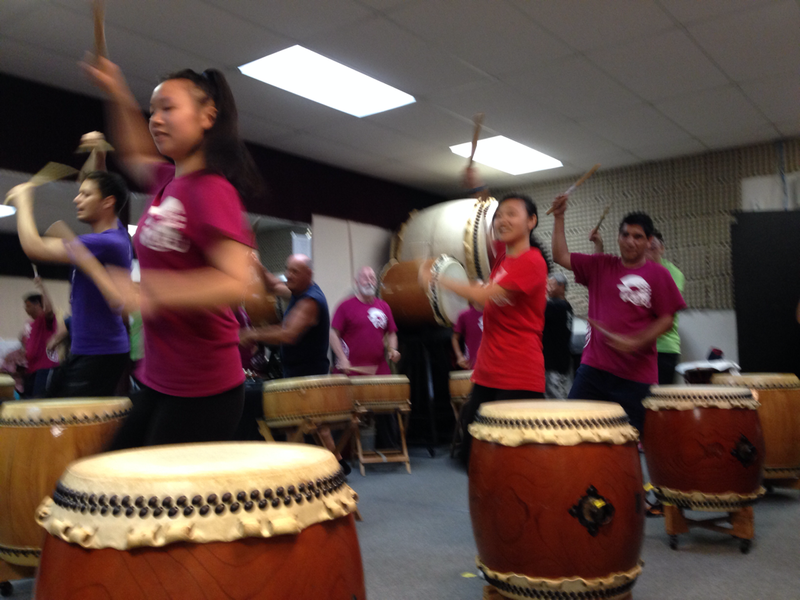 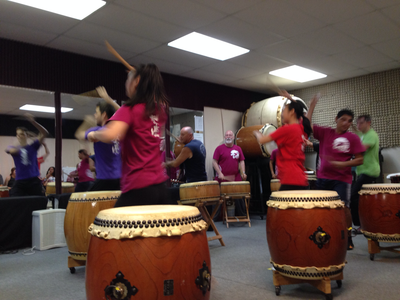 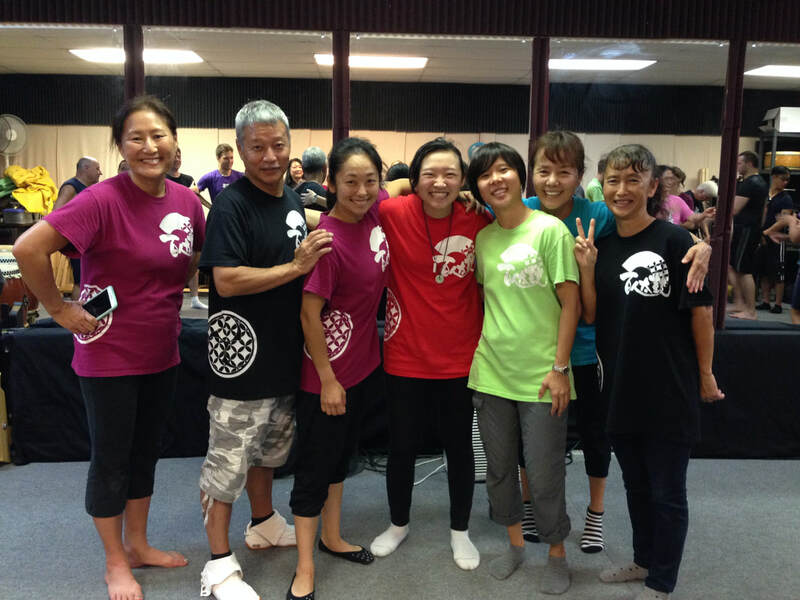 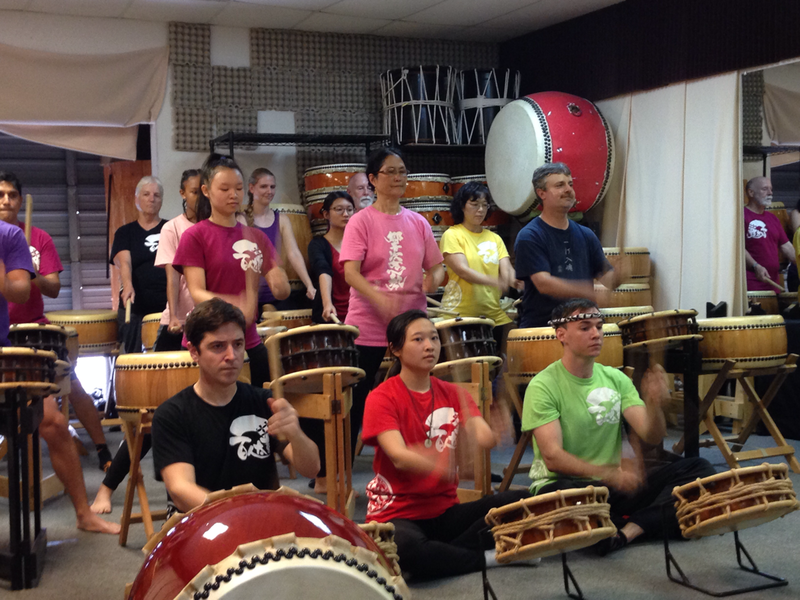 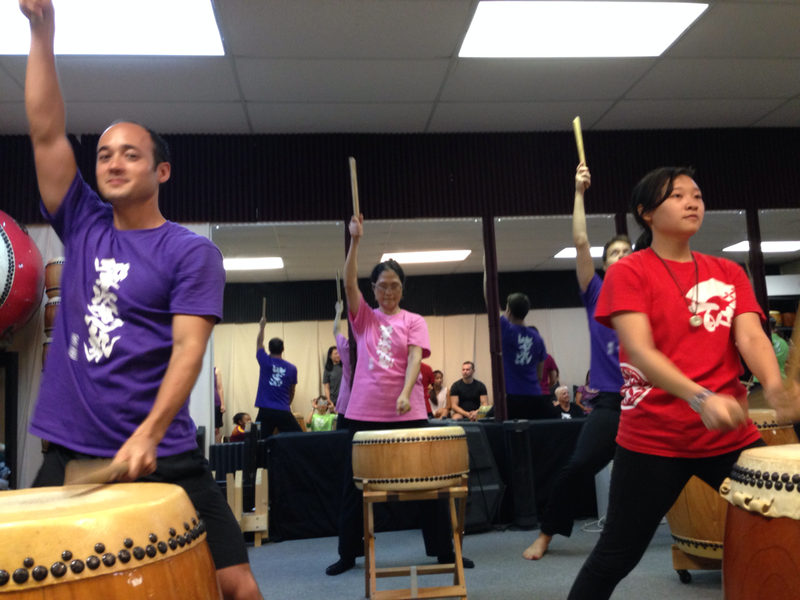 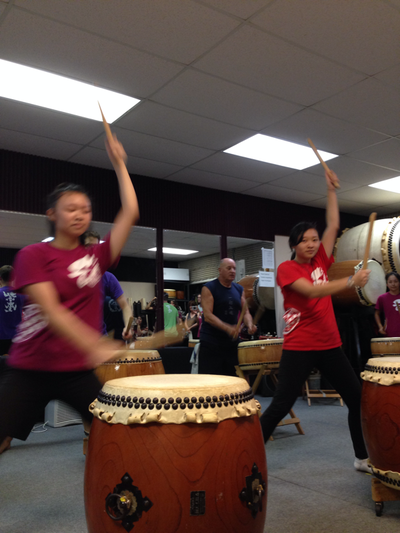 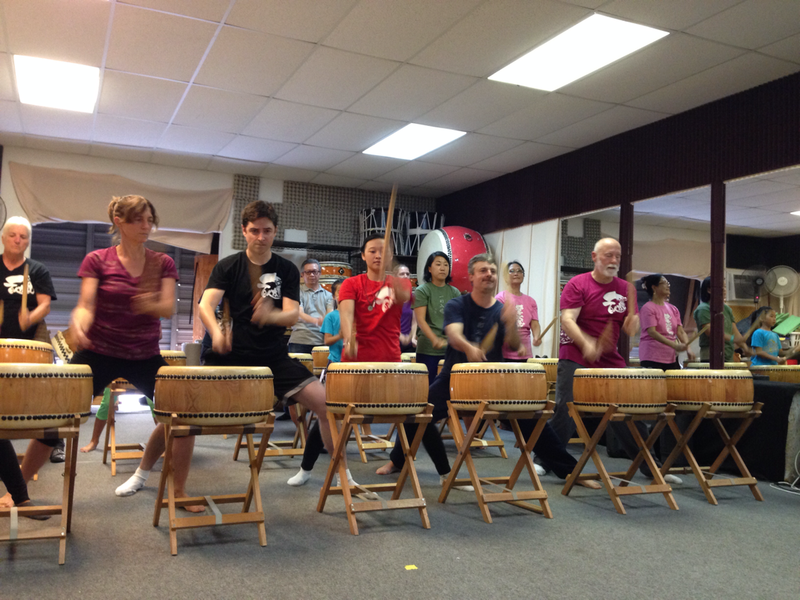 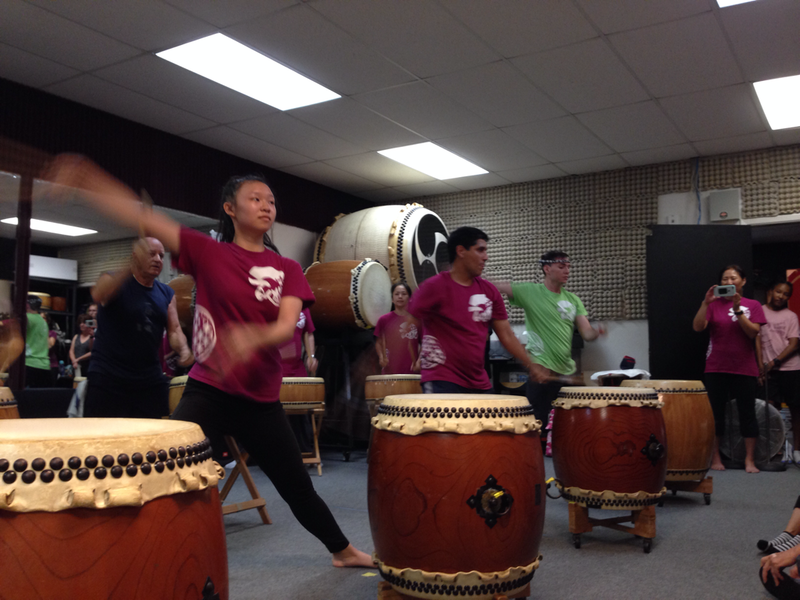 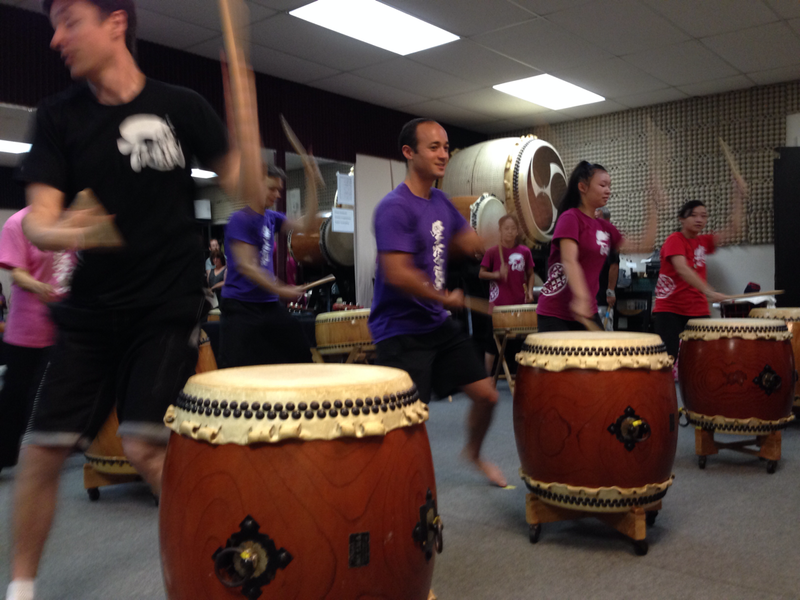 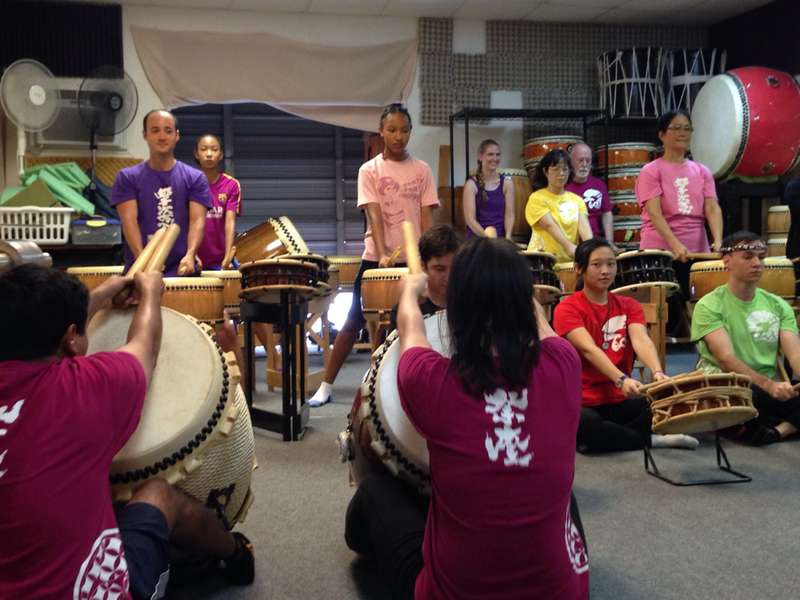 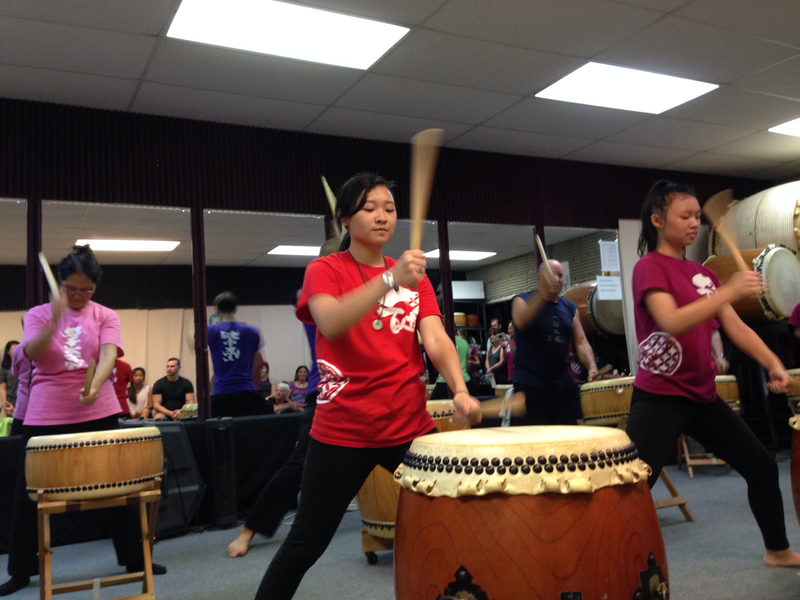 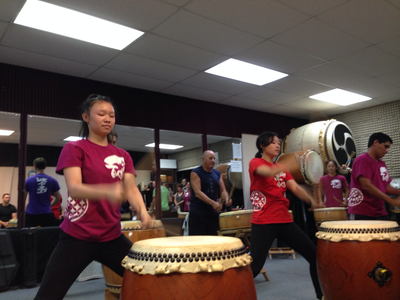 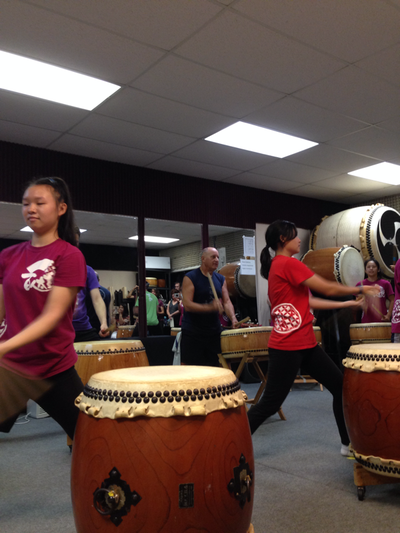 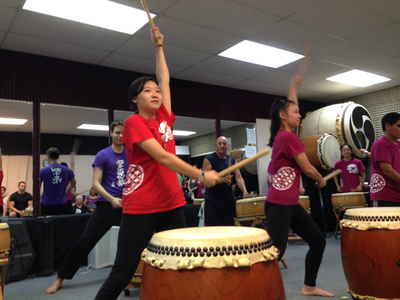 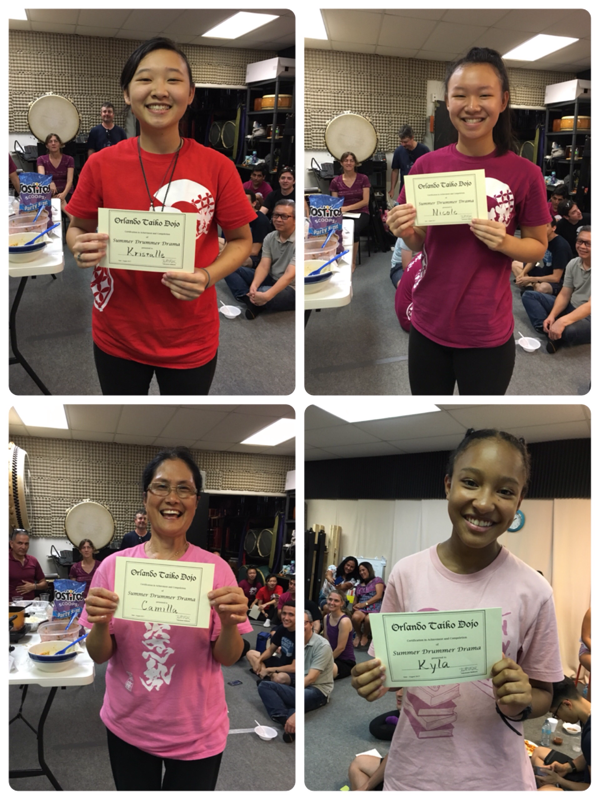 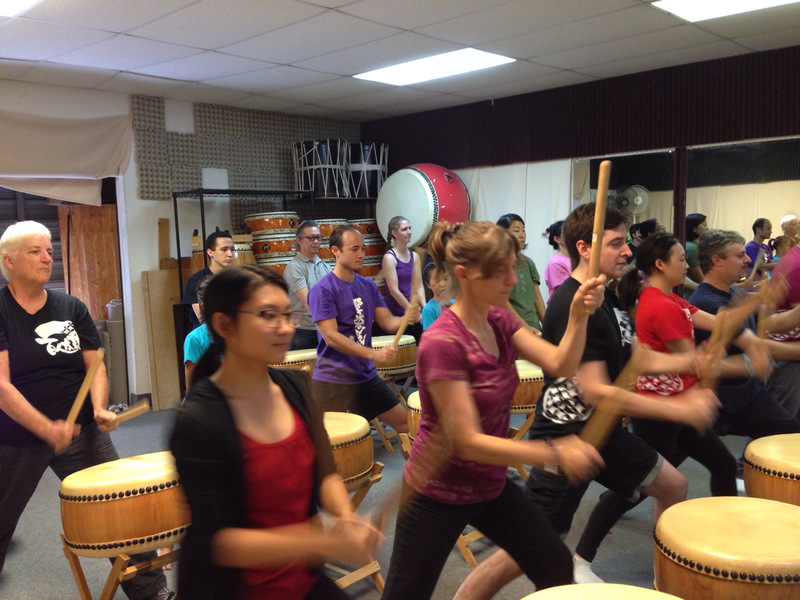 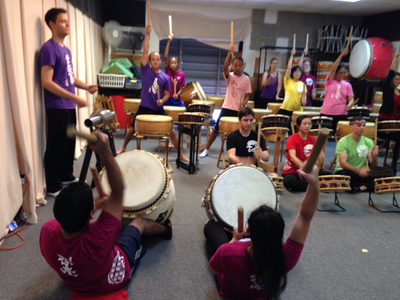 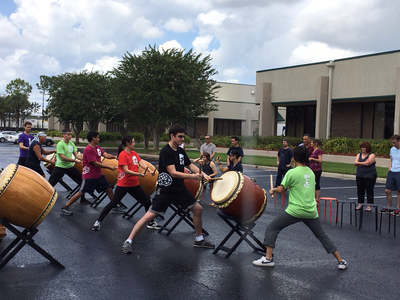 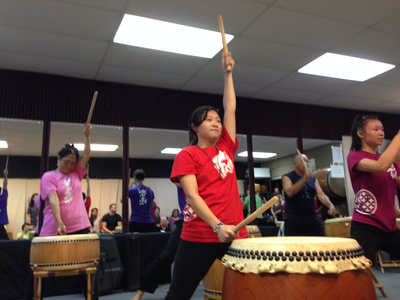 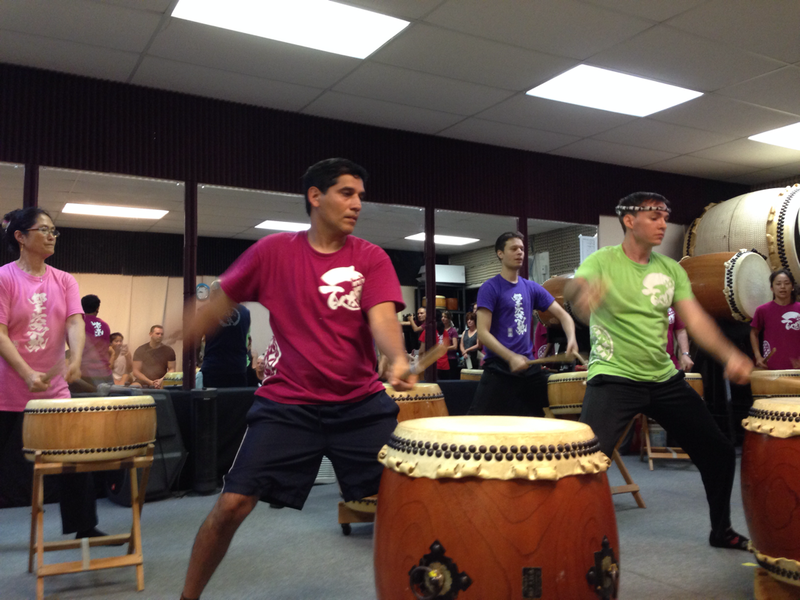 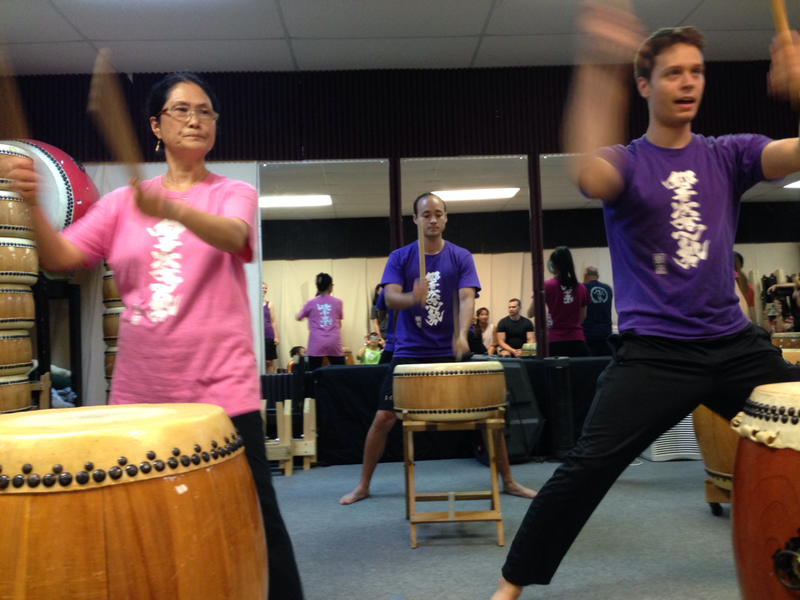 The students have performed 4 songs: Hayagake/Double Drums, Yatai Bayashi - Tamaire, Oiuchi Daiko, and Uchikomi. 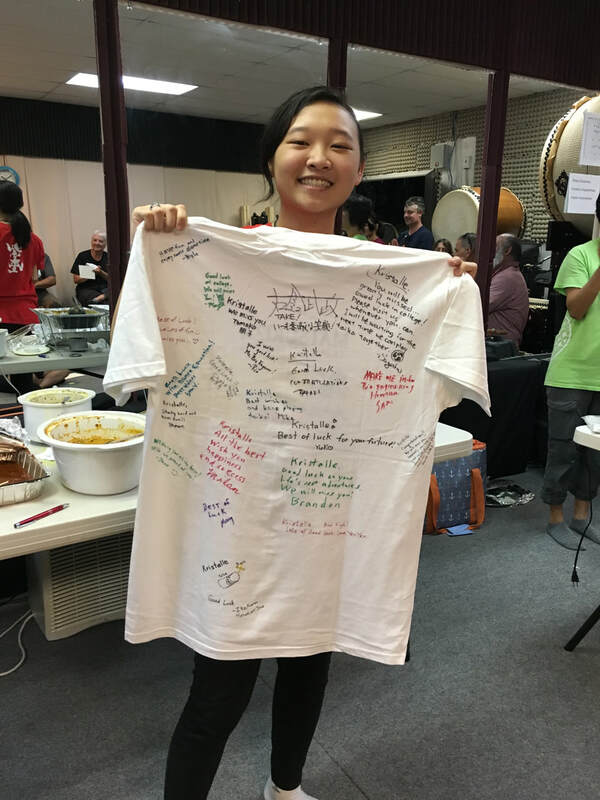 This day was also the last day for one of our student. 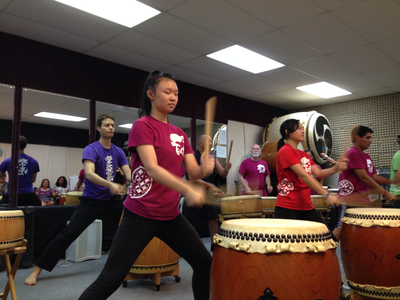 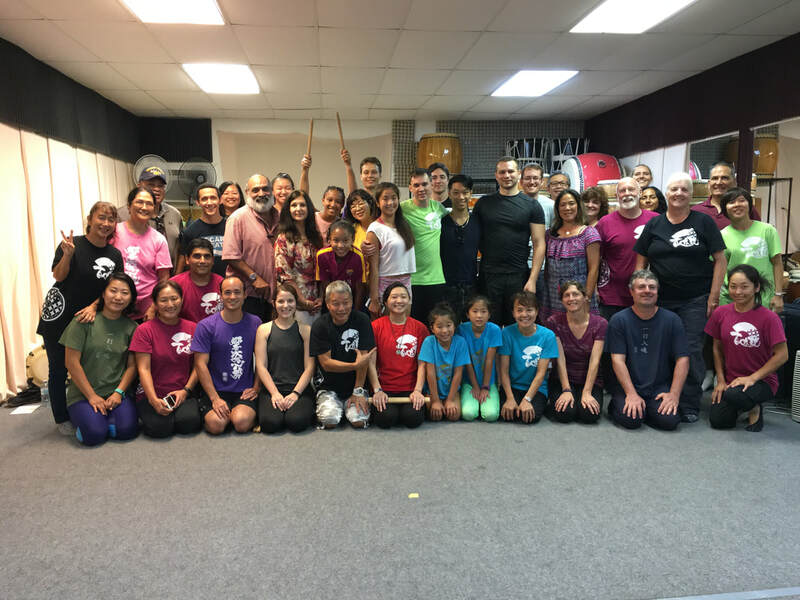 First performance was performed by the 1st class. 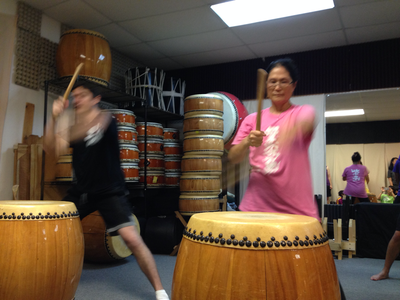 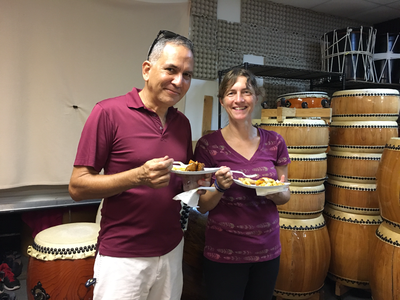 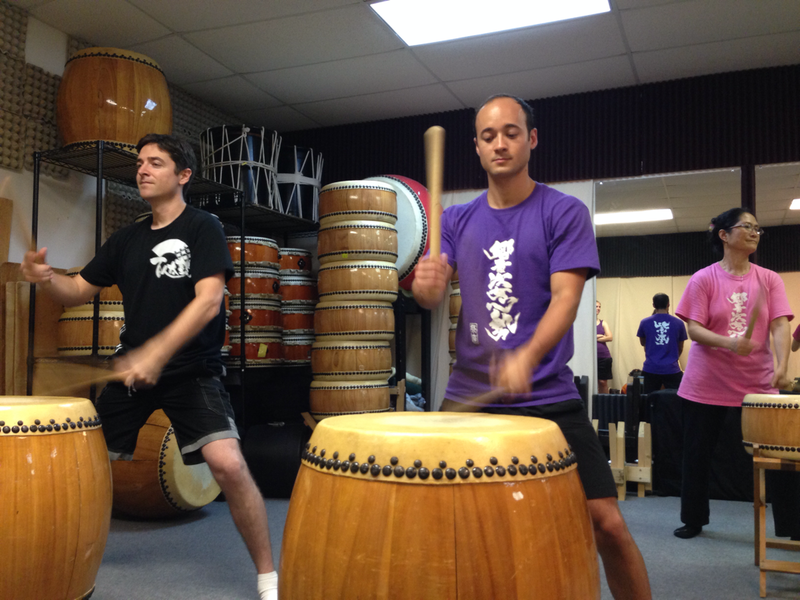 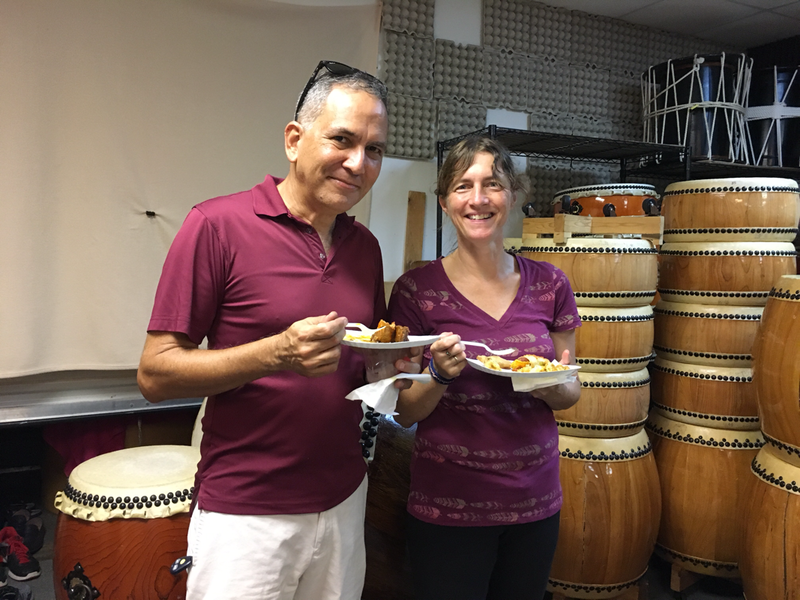 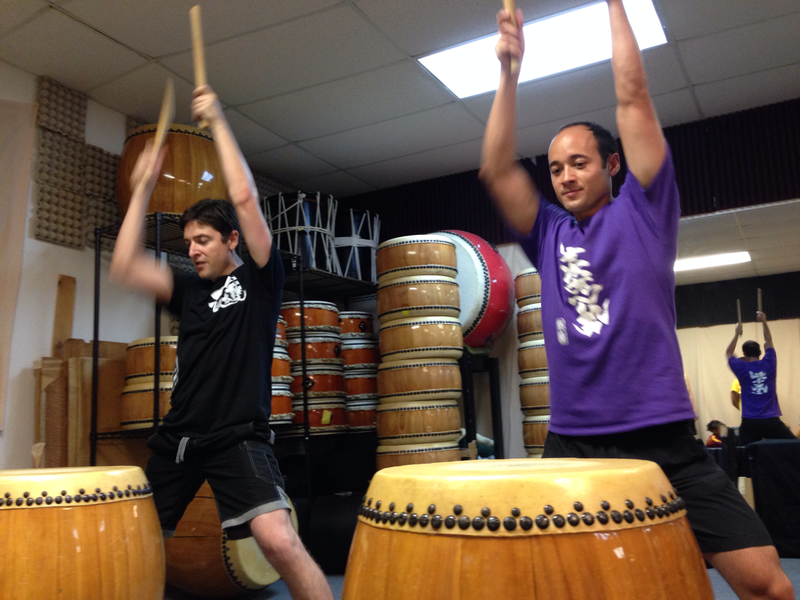 "Hayagake no Taiko," also known as the "Double Drums." 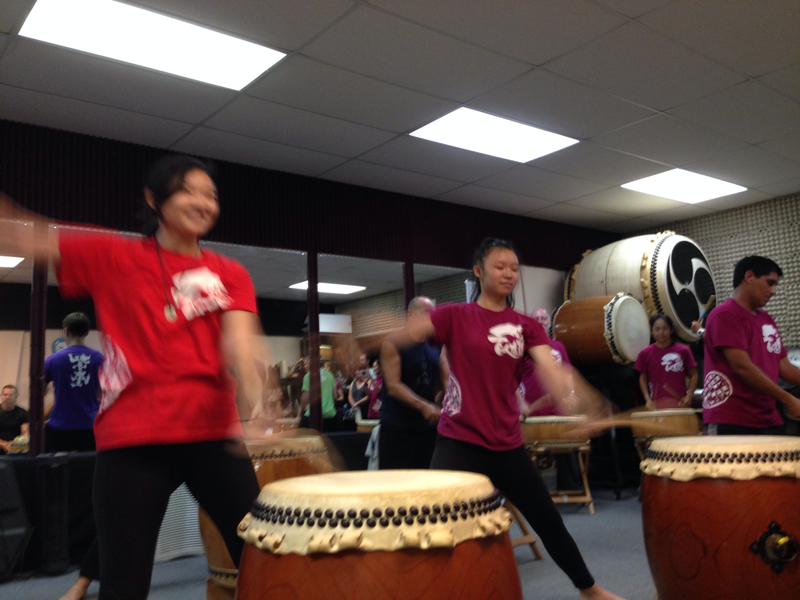 2nd performance was by the 2nd class. The song title is "Yatai Bayashi." 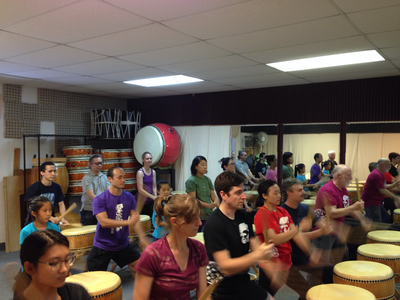 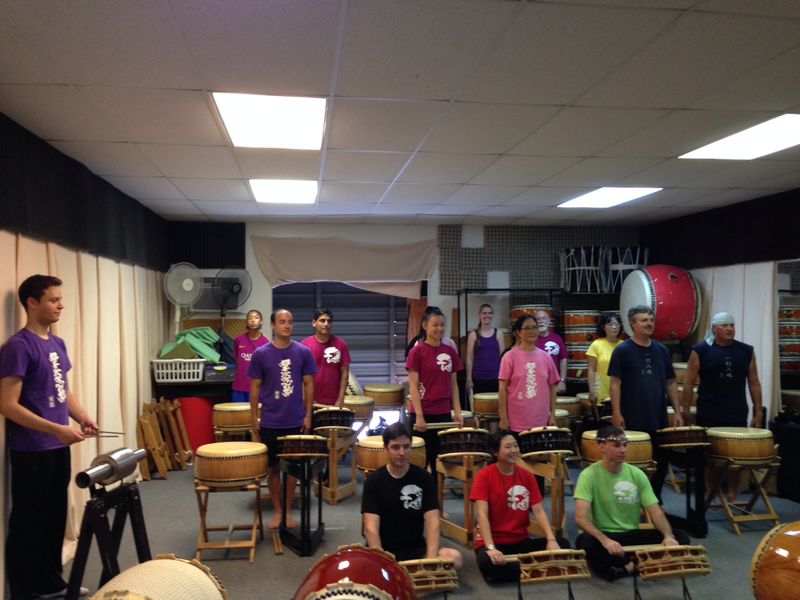 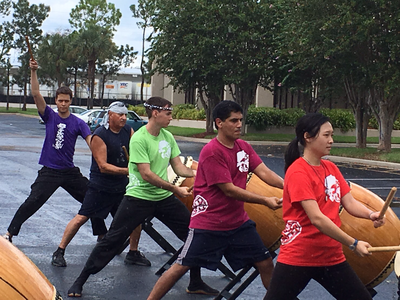 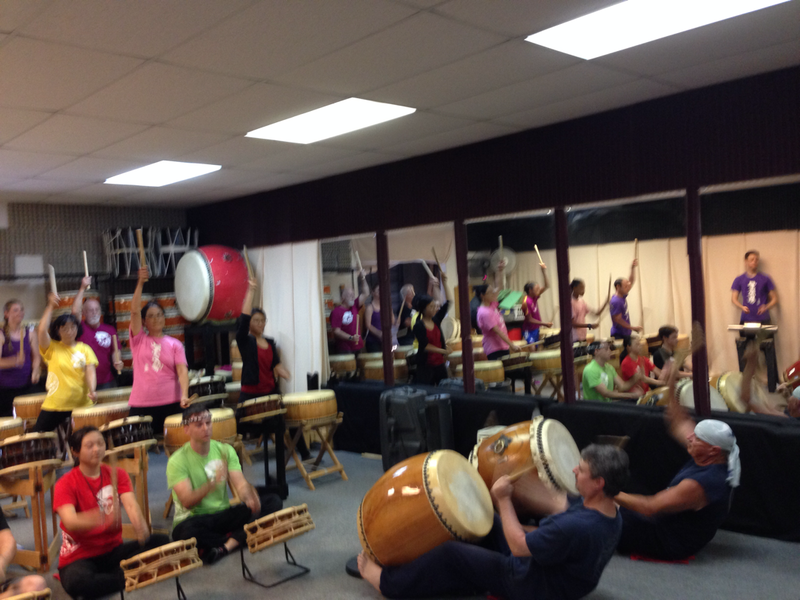 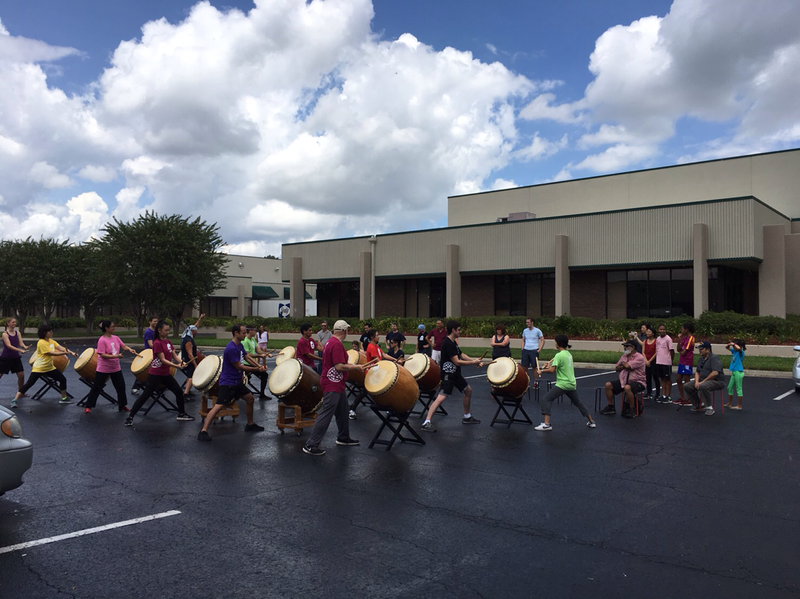 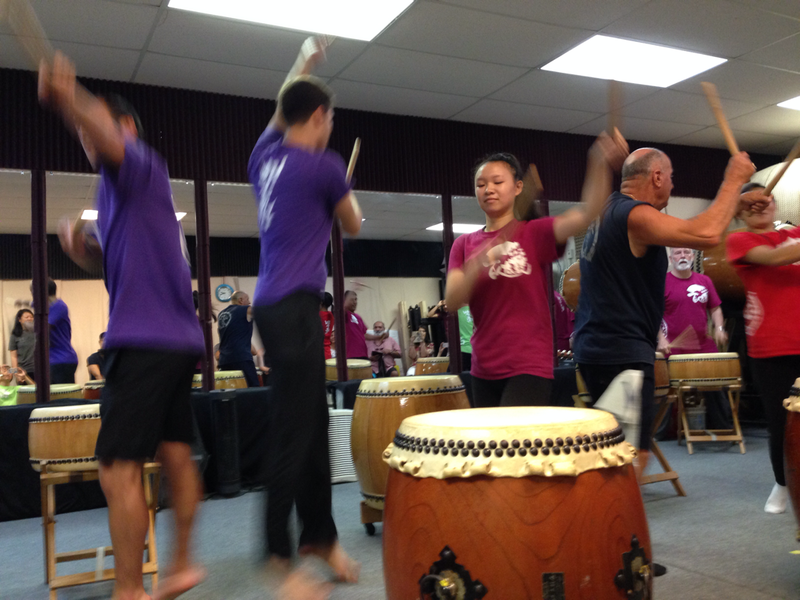 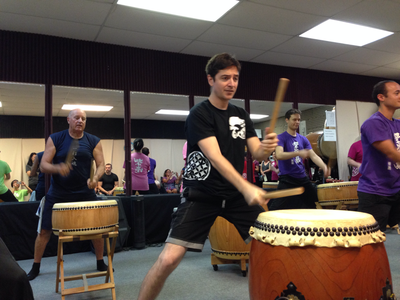 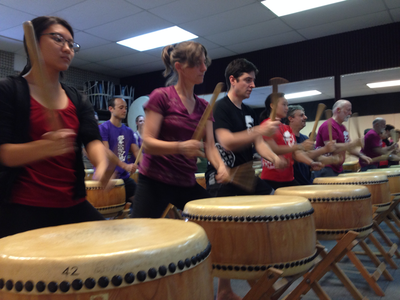 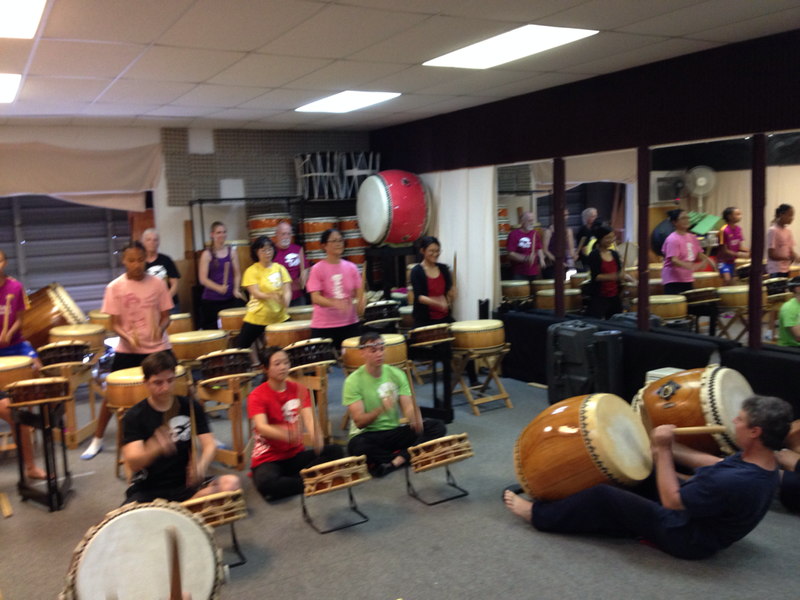 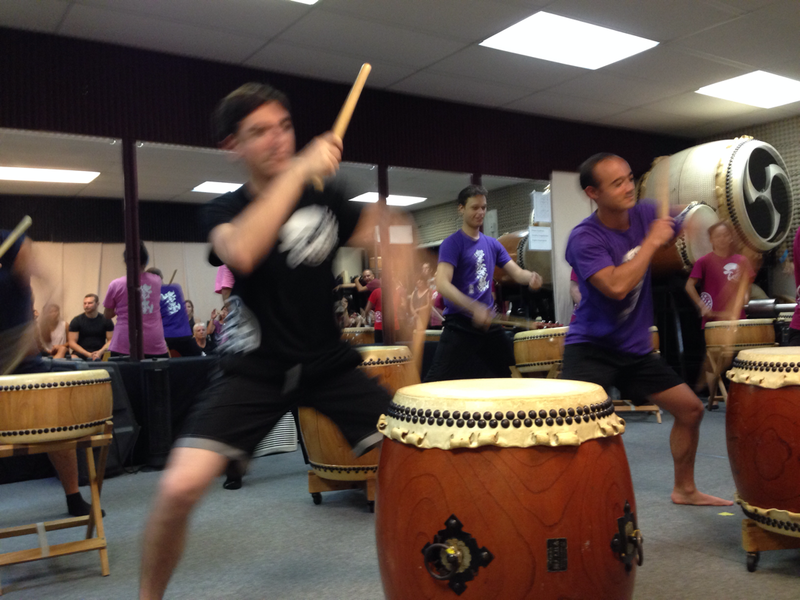 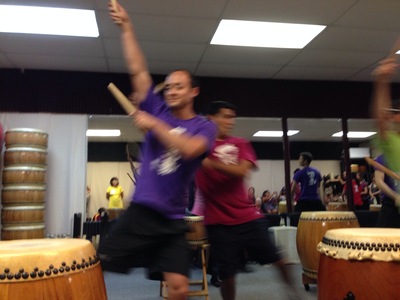 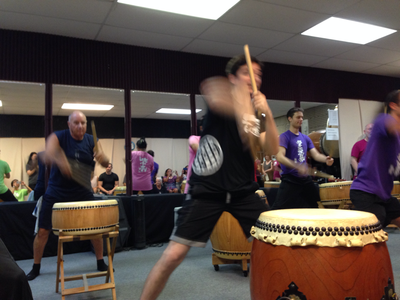 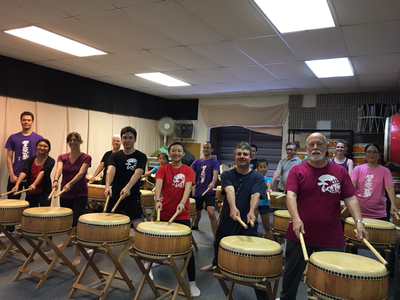 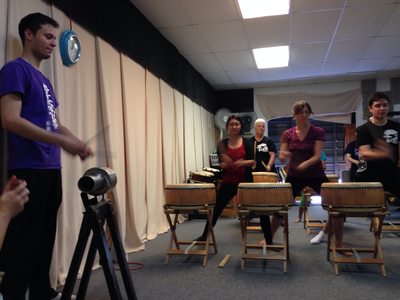 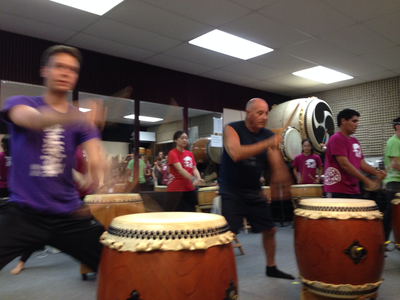 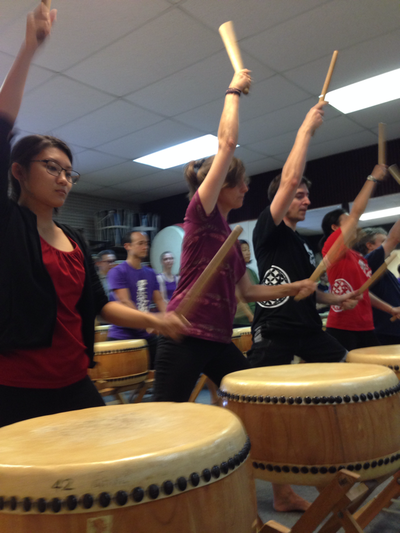 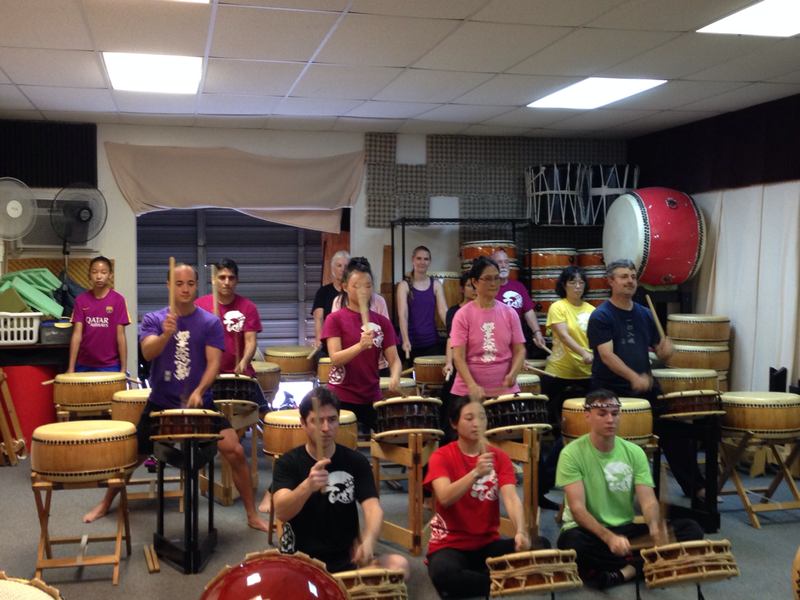 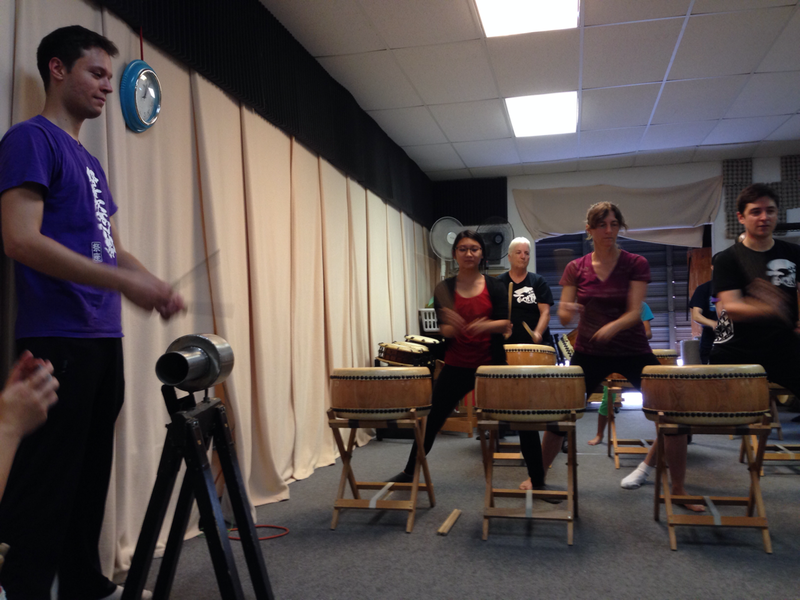 The students played from "Tamaire" (shime daiko part) to the end. 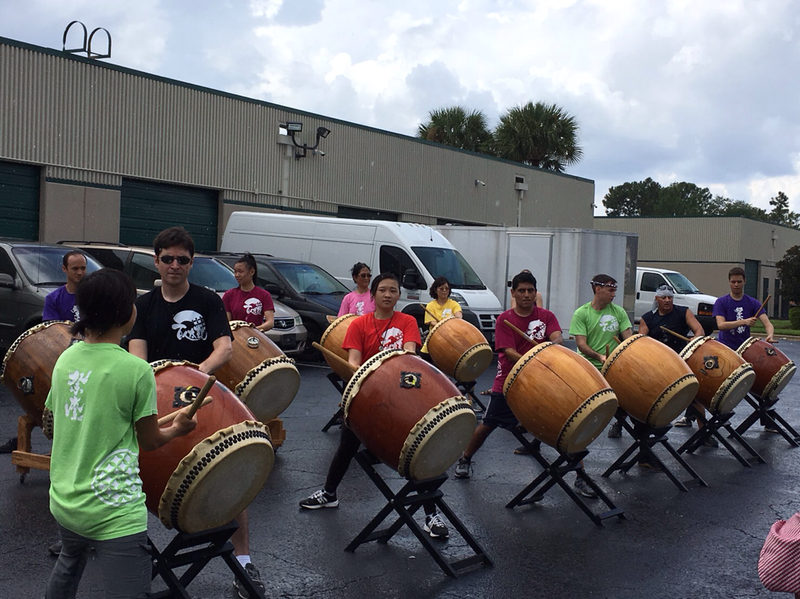 3rd performance was done outside for space reason. 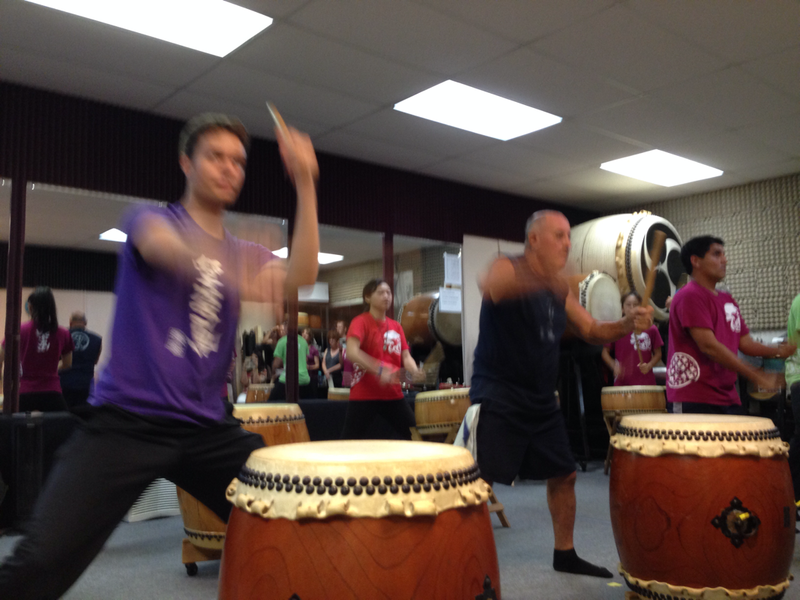 Song title "Oiuchi Daiko." 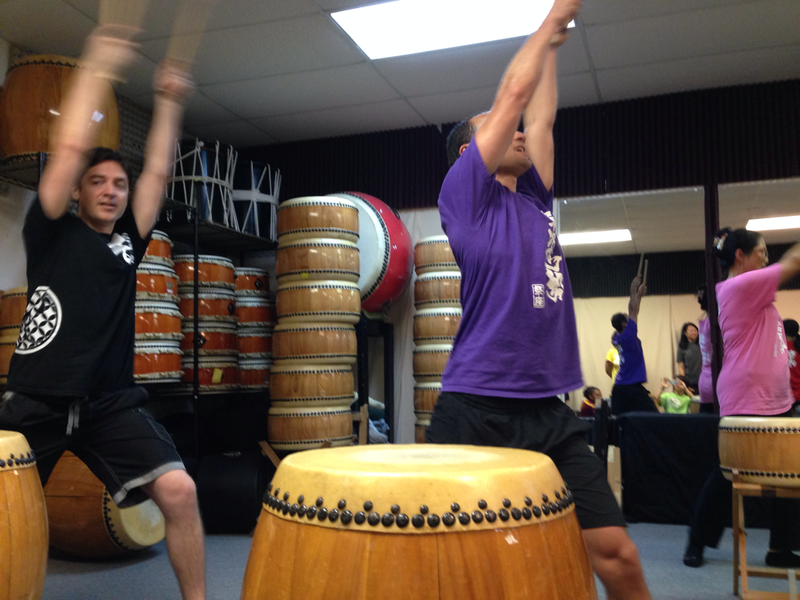 It was their first time practicing and performing this piece in front of the audience. 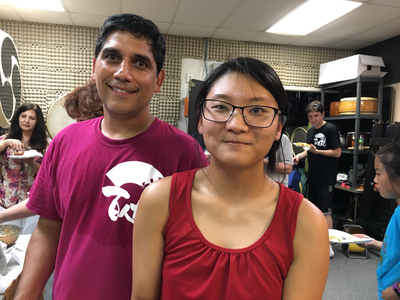 Half of the students have played a solo as well. 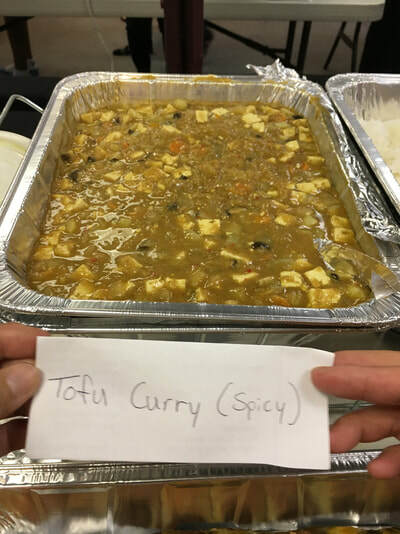 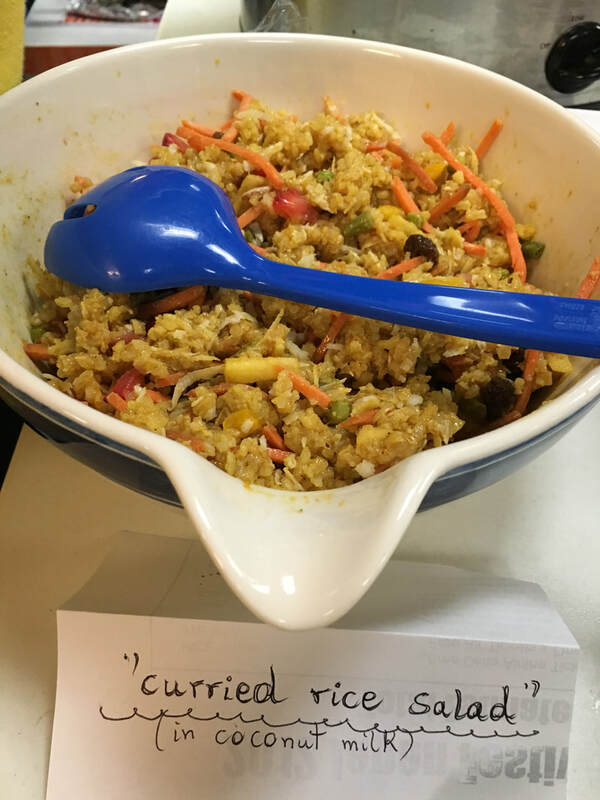 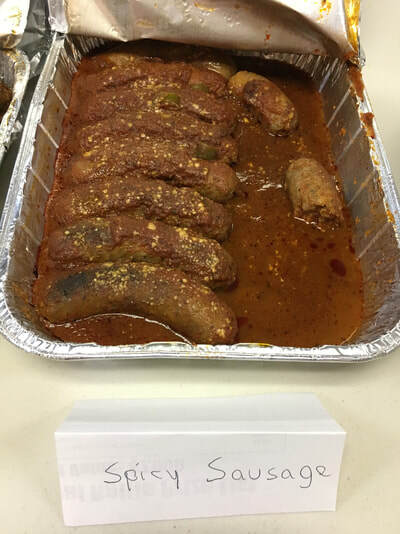 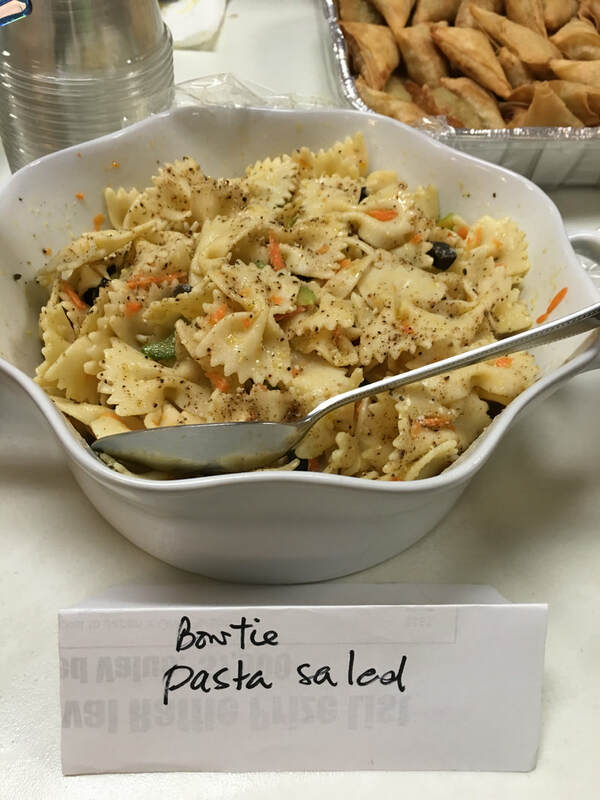 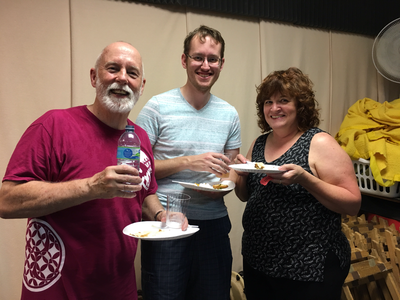 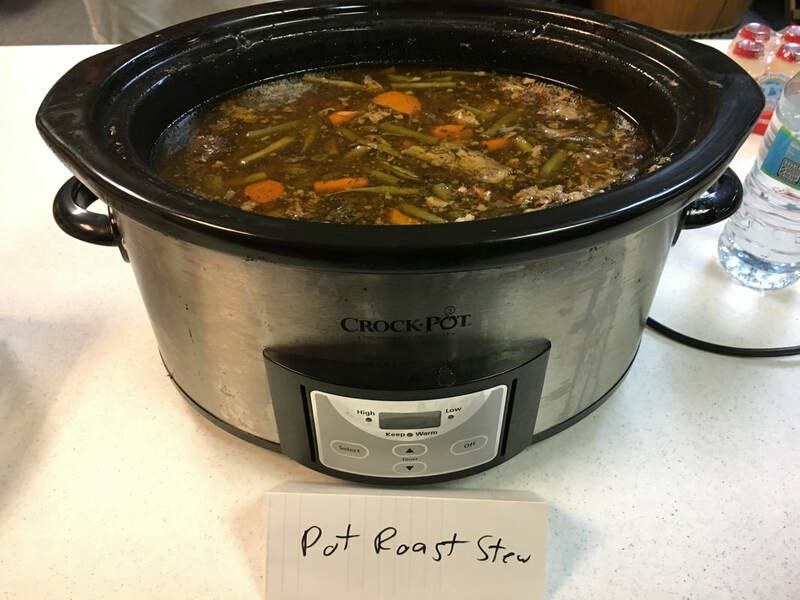 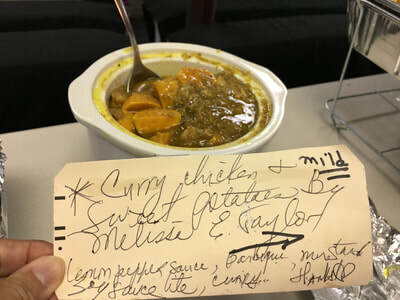 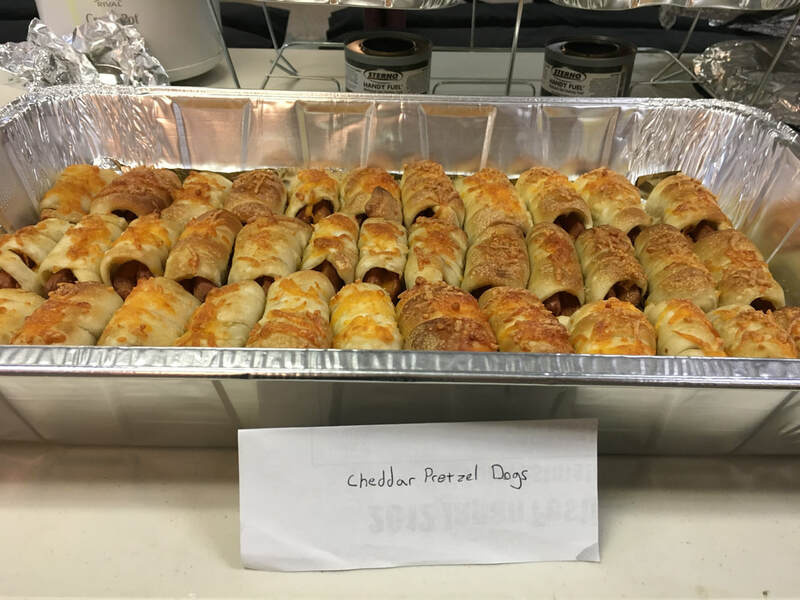 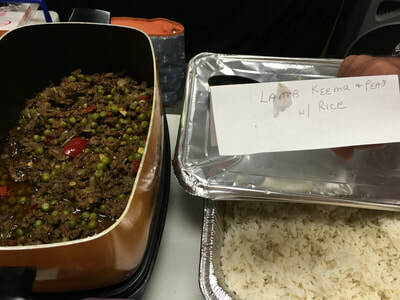 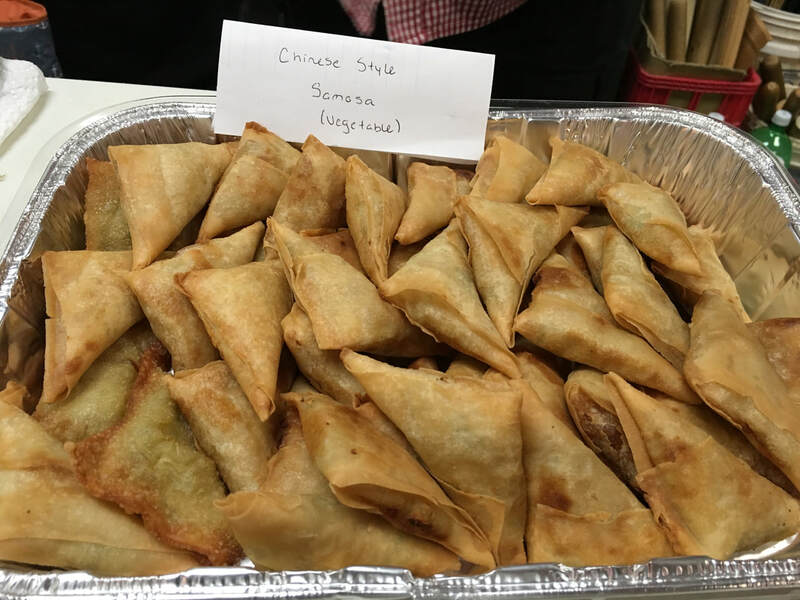 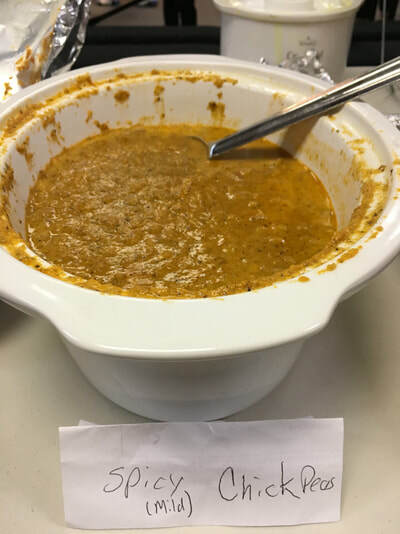 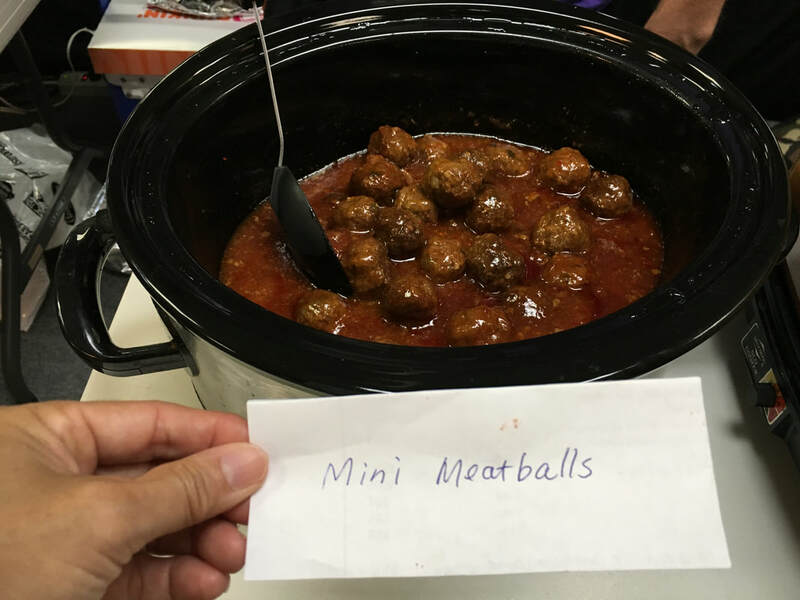 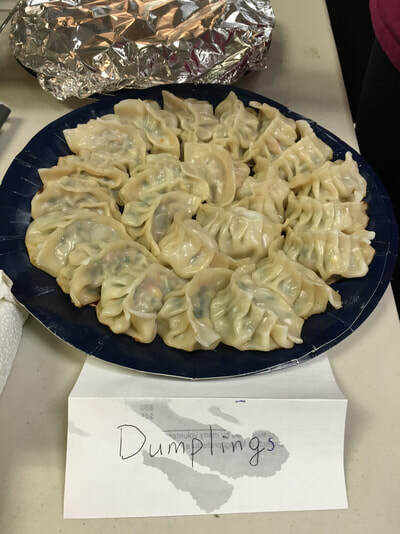 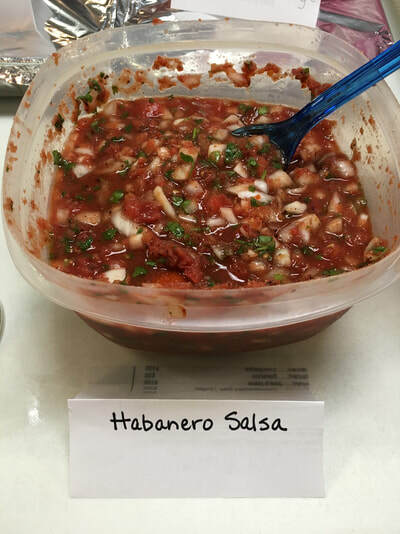 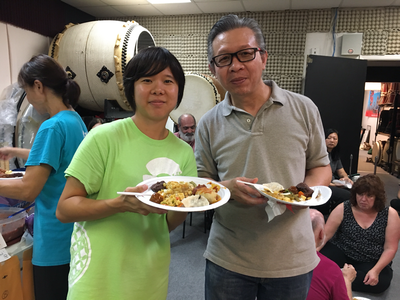 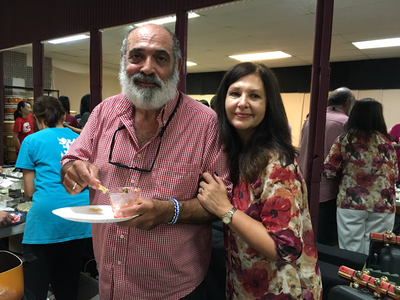 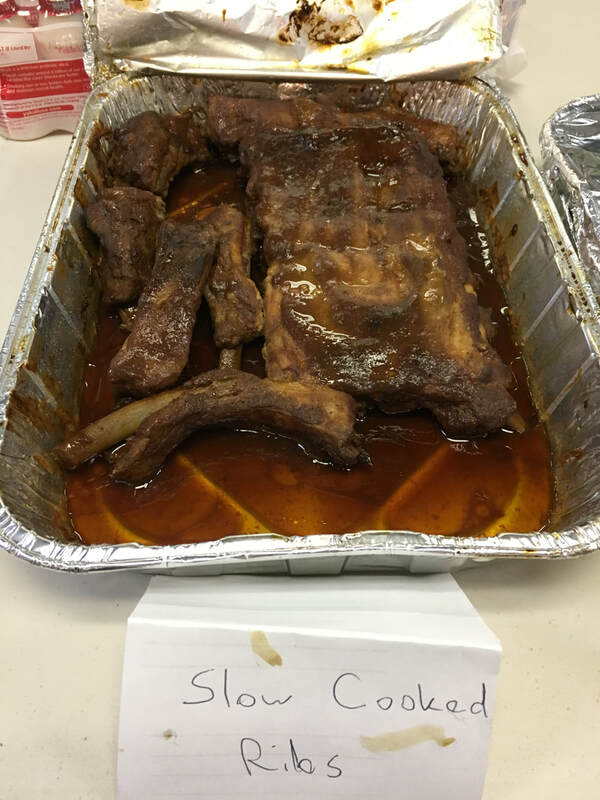 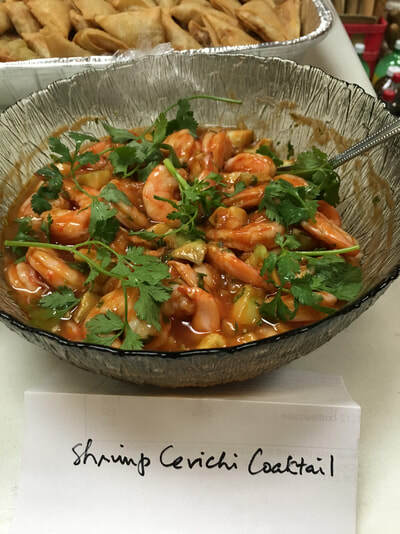 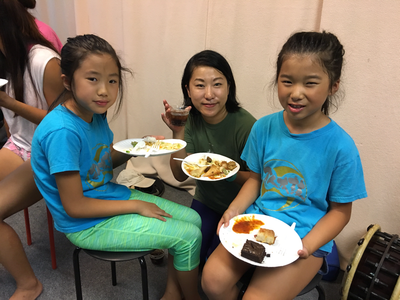 This year, we had the recital first, followed by the Cook Off. 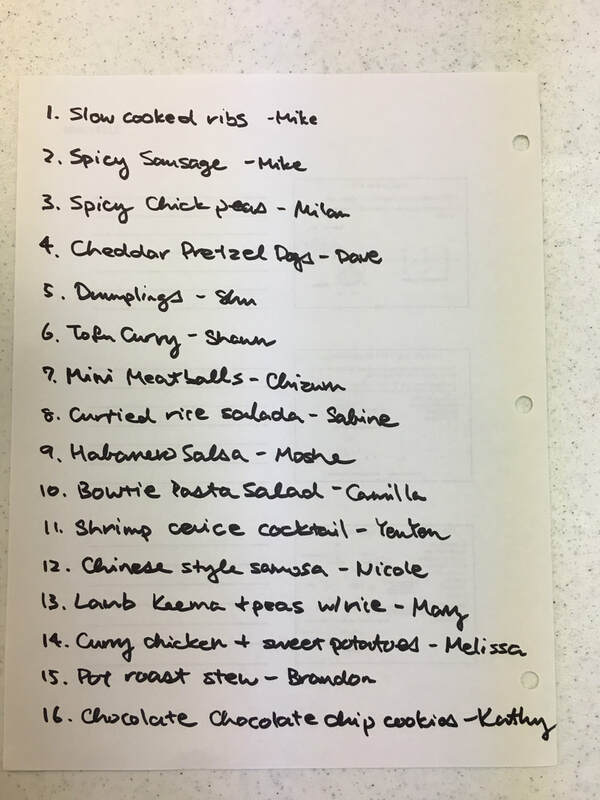 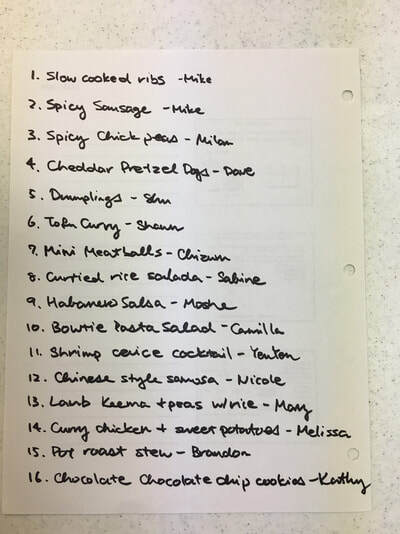 We had 15 contestants. 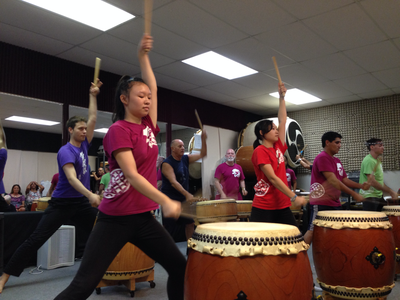 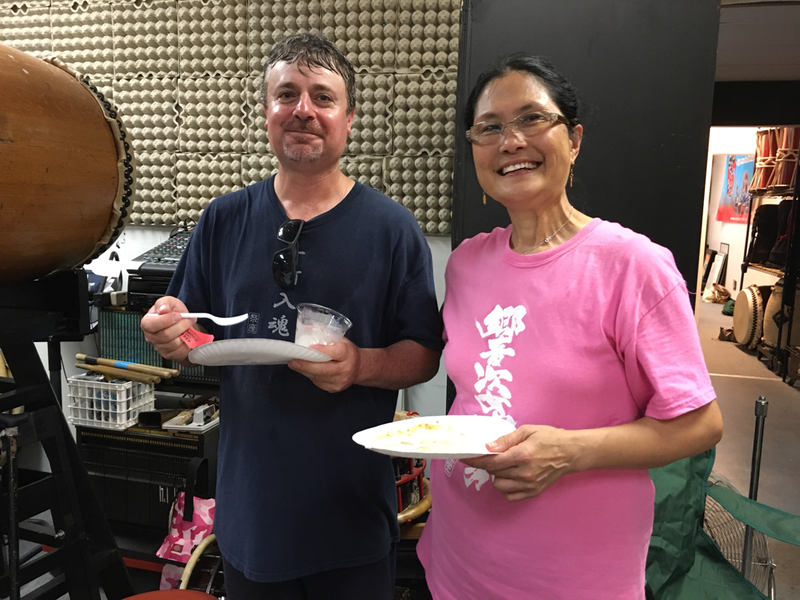 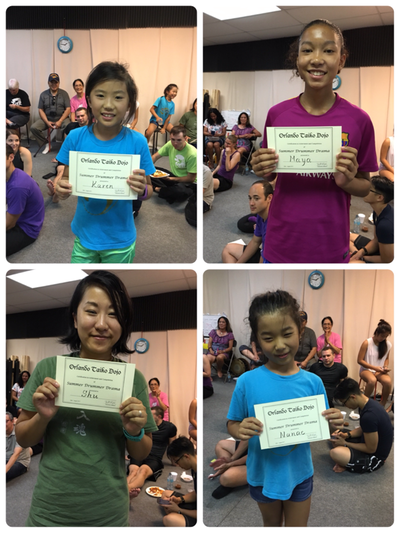 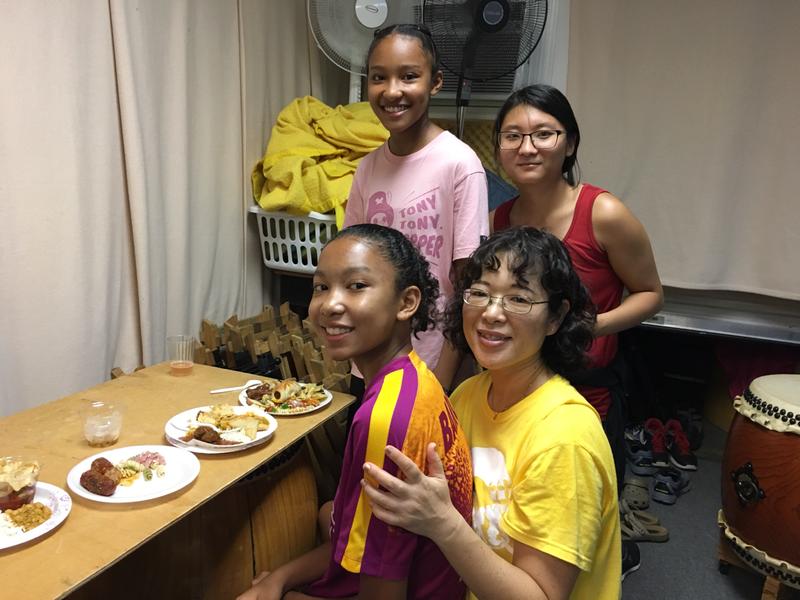 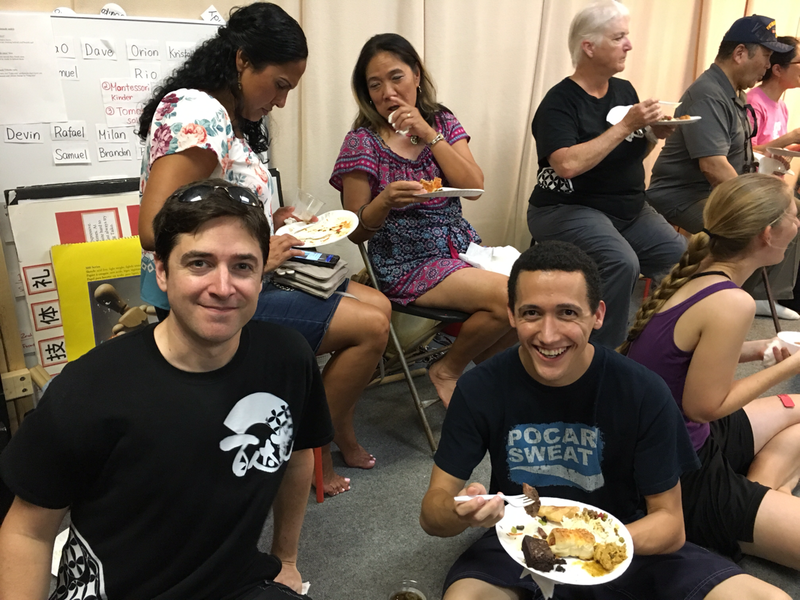 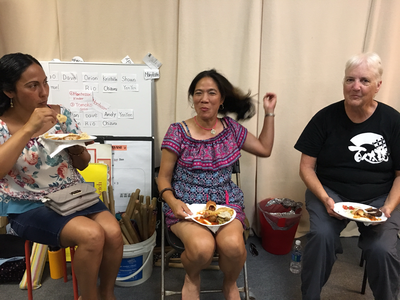 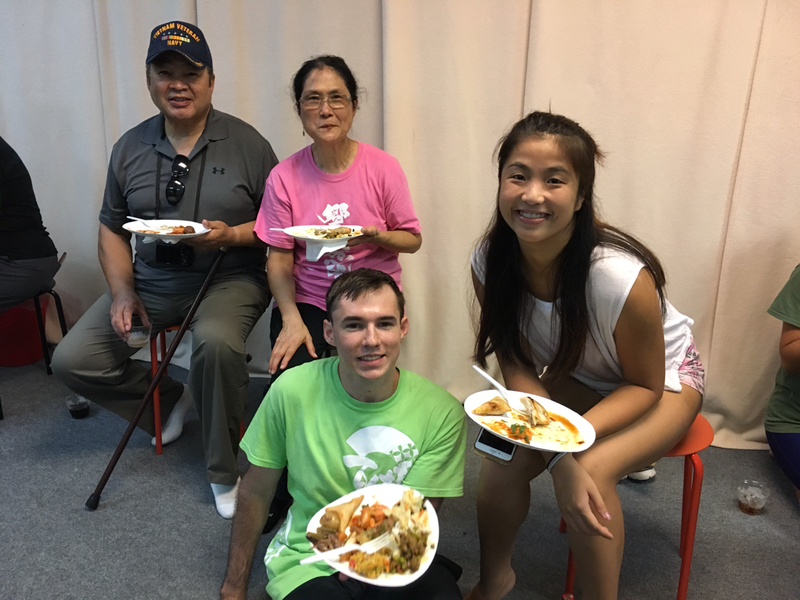 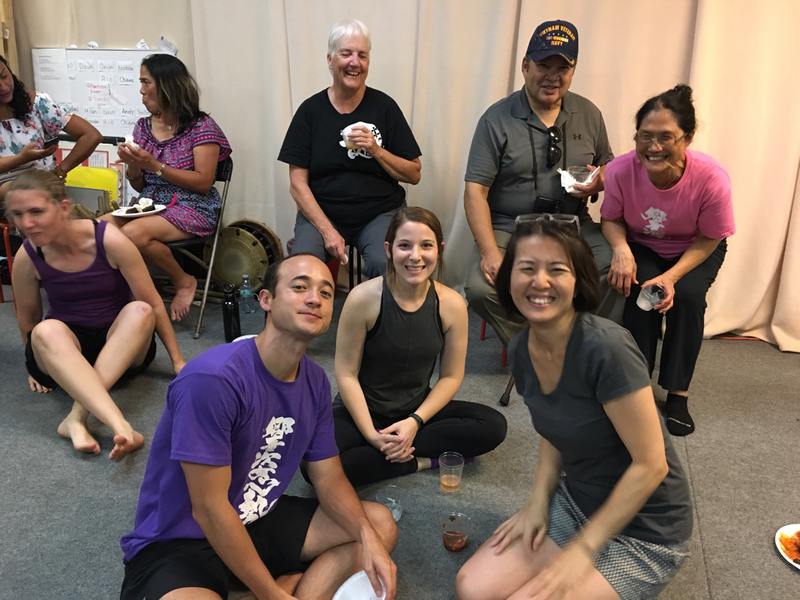 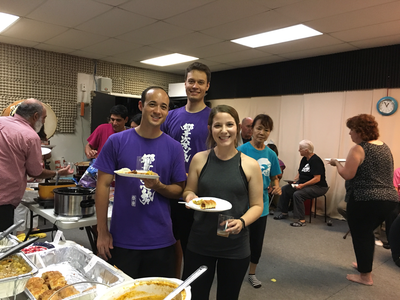 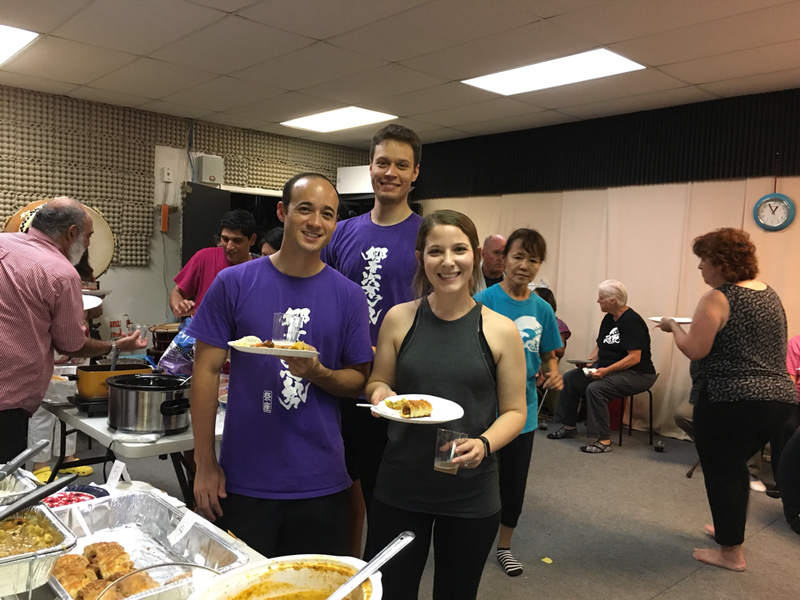 This day's party was ended by the final performance, "Uchikomi" (due to the rain during "Oiuchi Daiko"). This was one of our student's final performance, finishing with a duet.